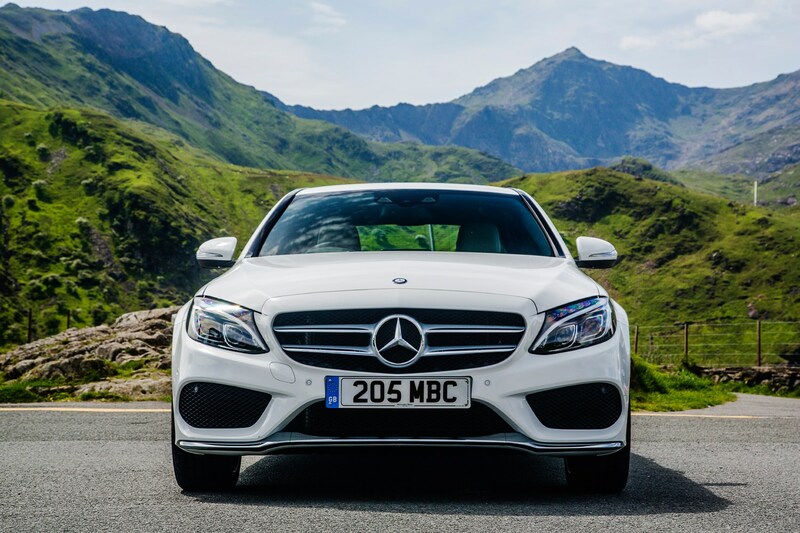 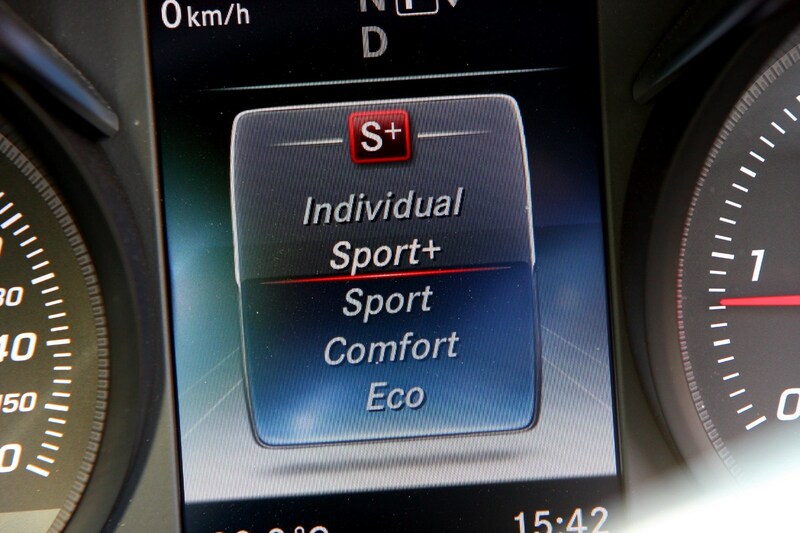 There are three equipment levels available from launch on the C-Class – SE, Sport and AMG Line – along with a long list of optional extras to further personalise your car. 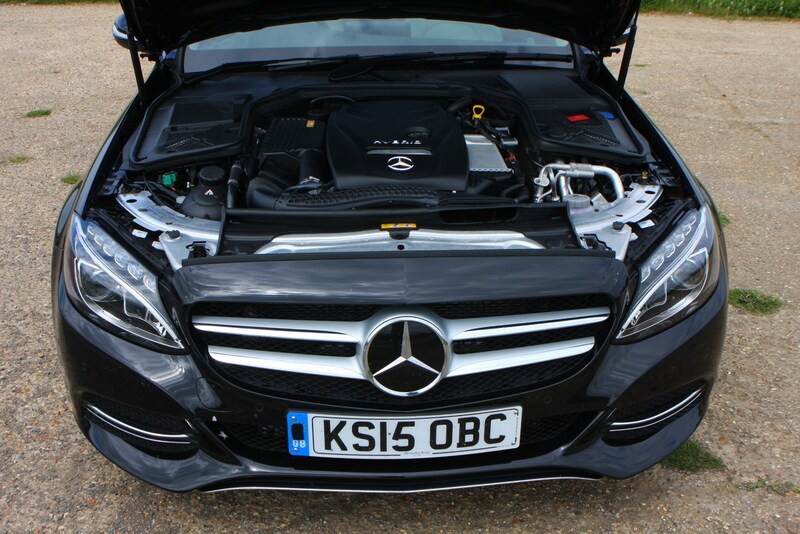 Even the lowest SE spec cars get a fair amount of standard kit. 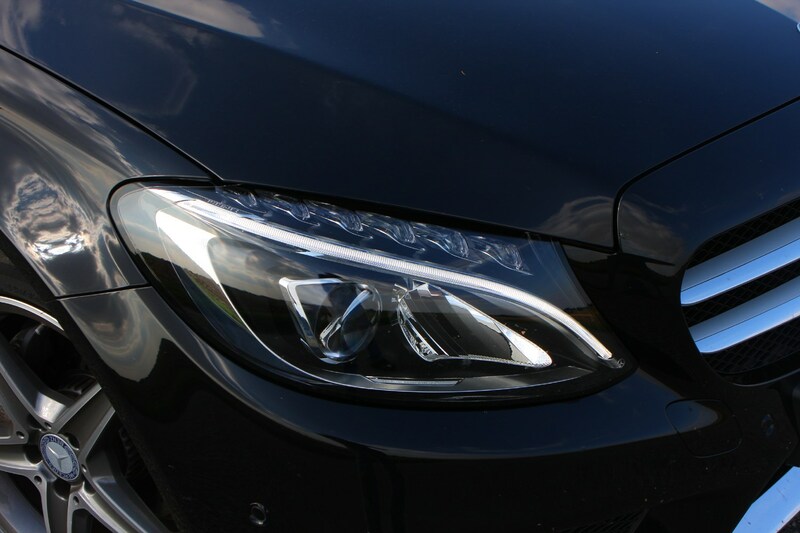 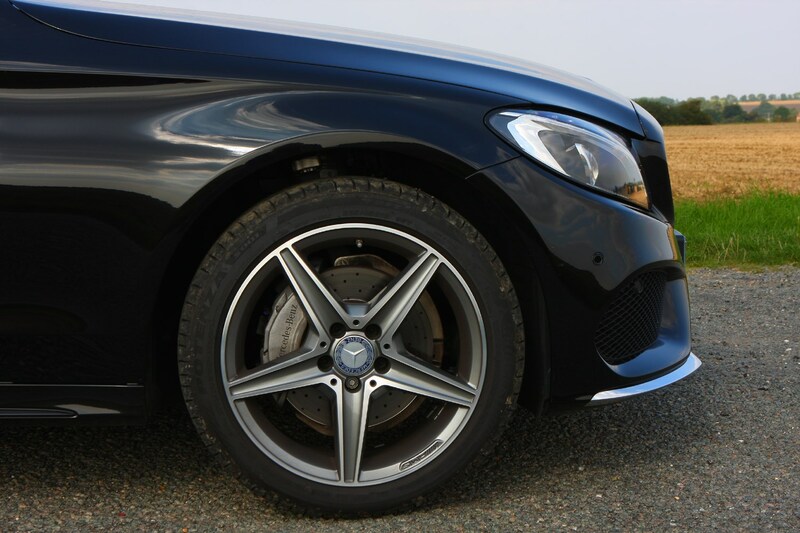 Buyers can build on standard specification of Sport and AMG Line trims by opting for the Premium or Premium Plus equipment lines. 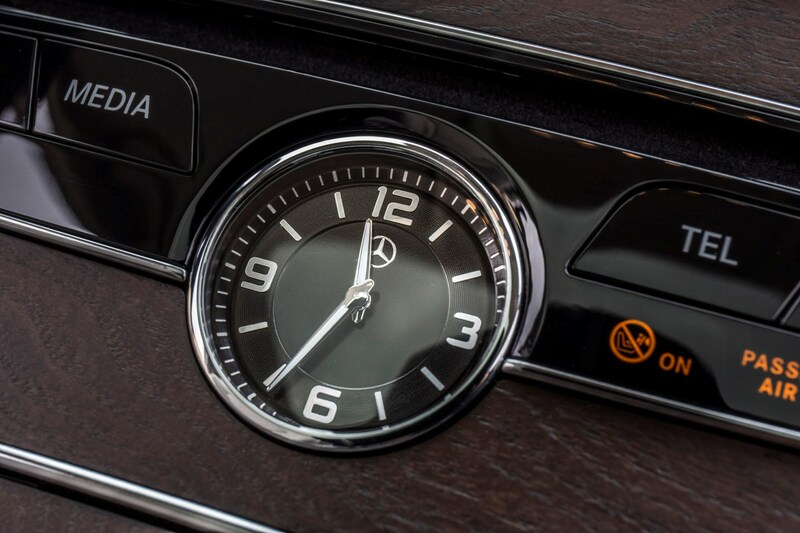 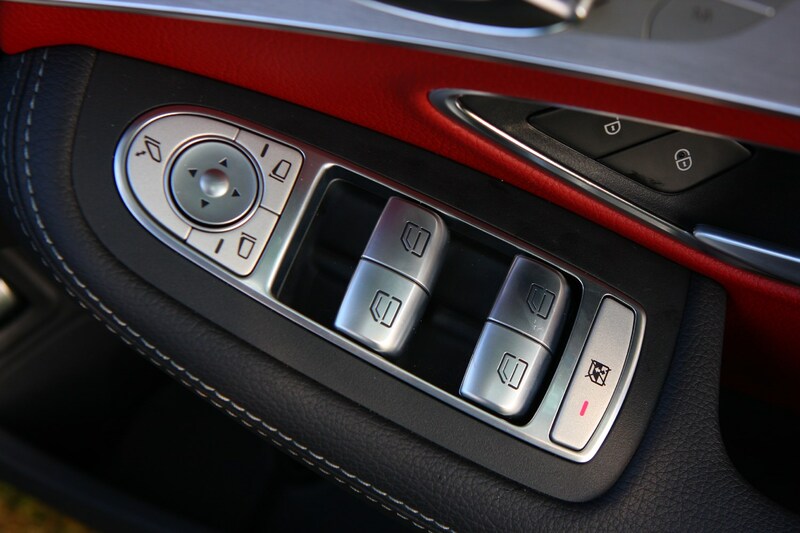 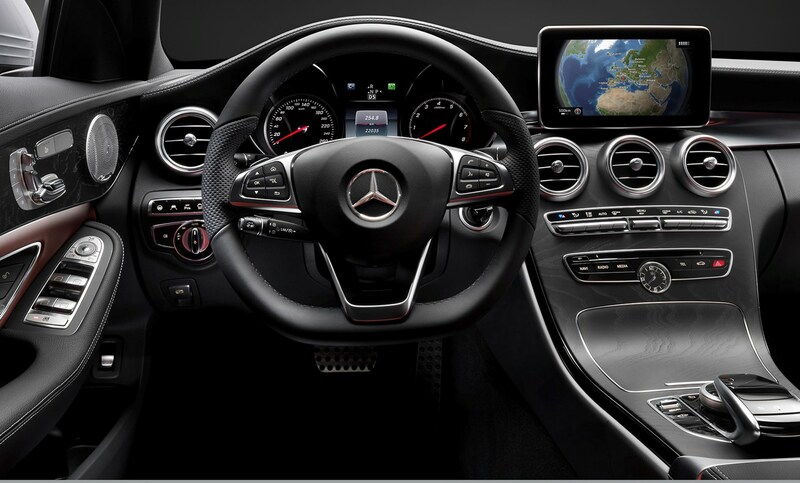 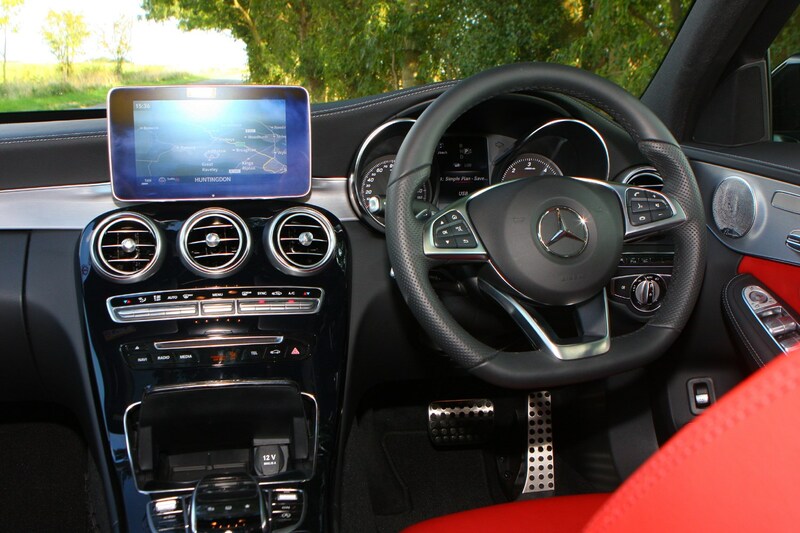 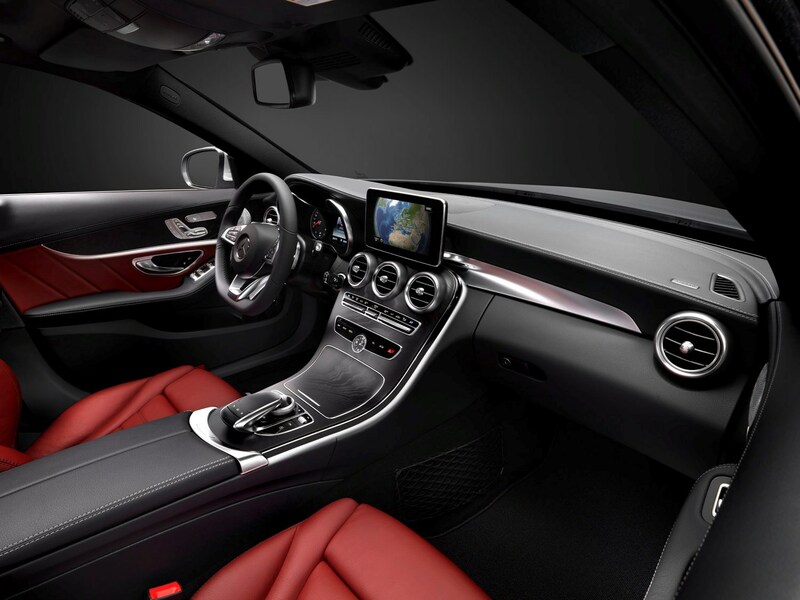 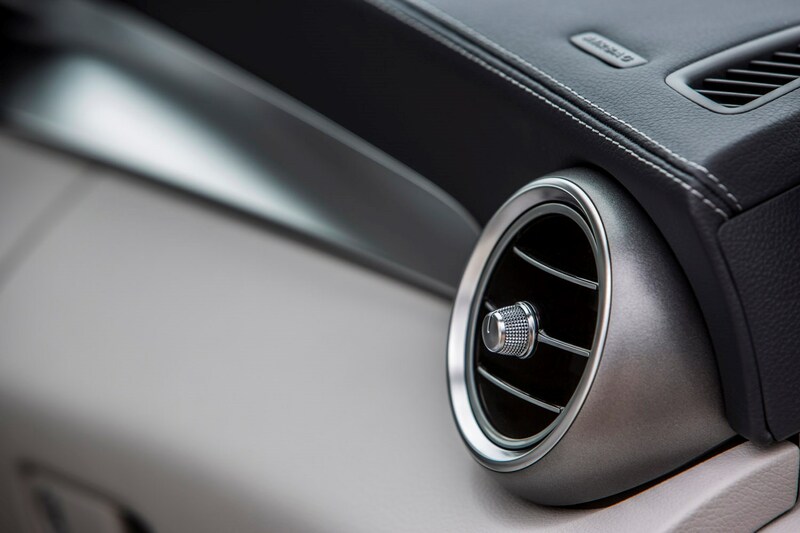 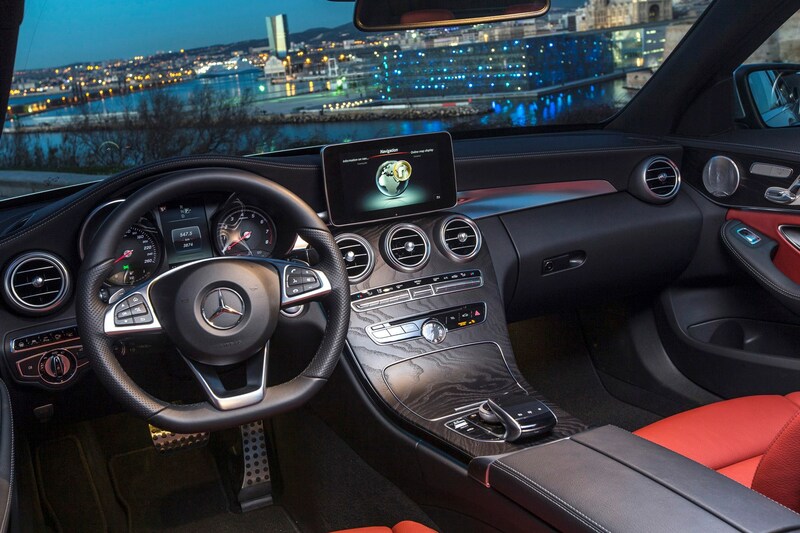 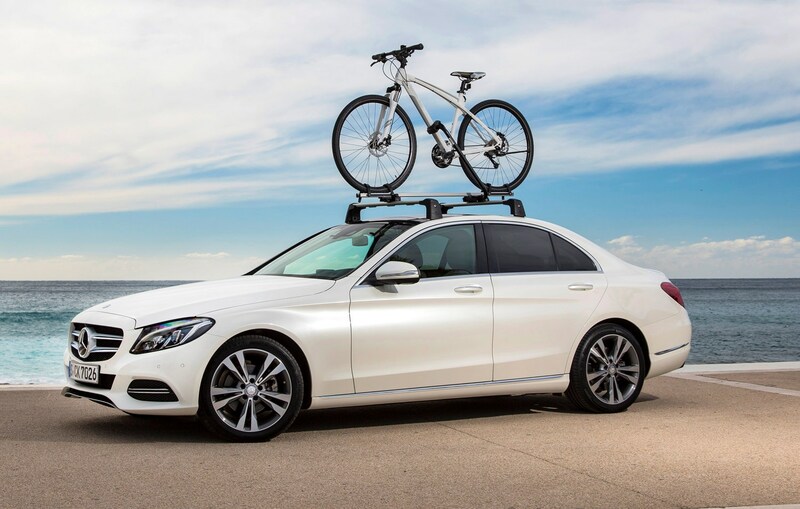 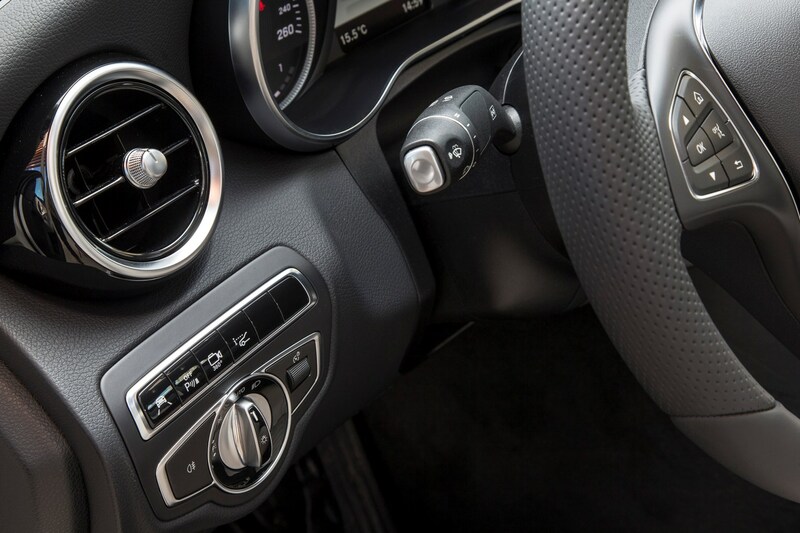 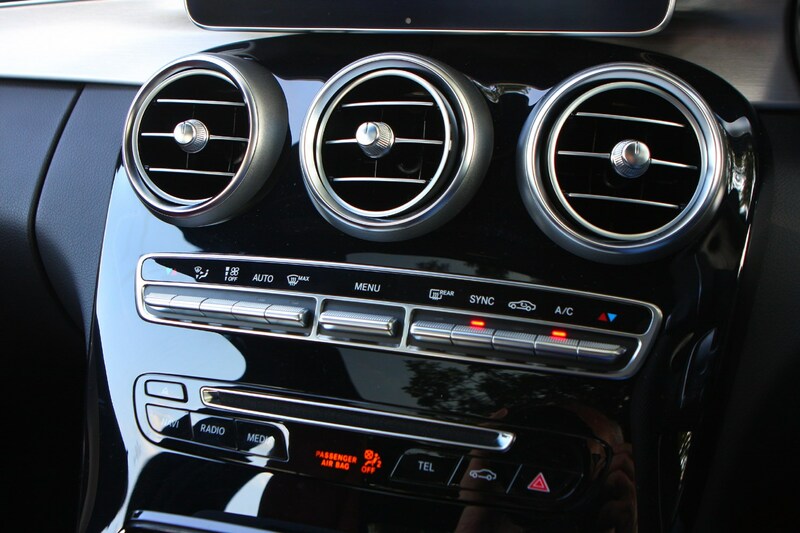 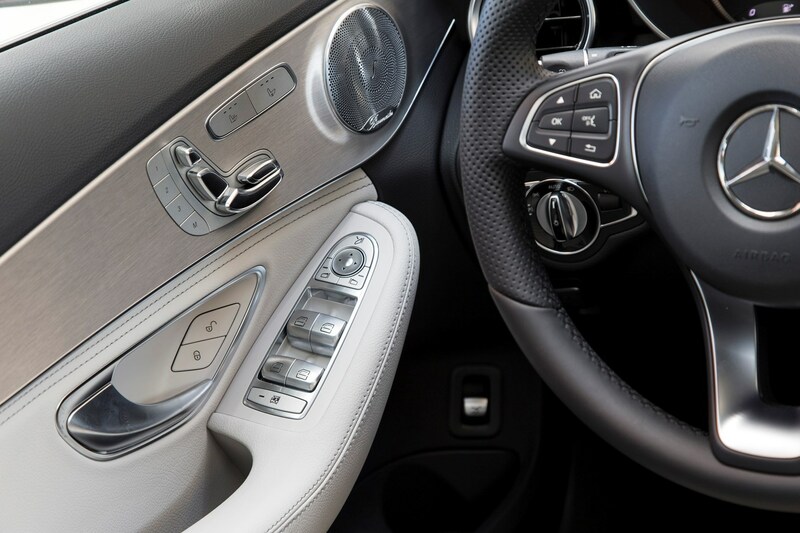 There’s a selection of optional extras available for the C-Class, some of which are more desirable than others. 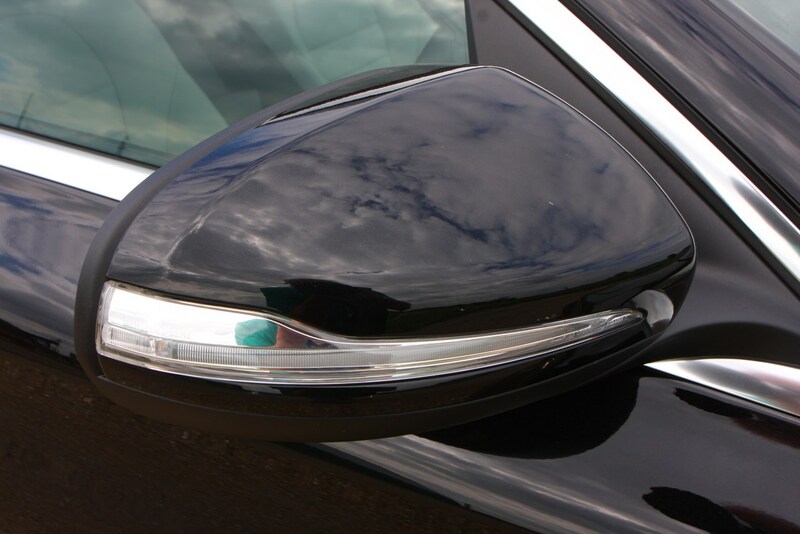 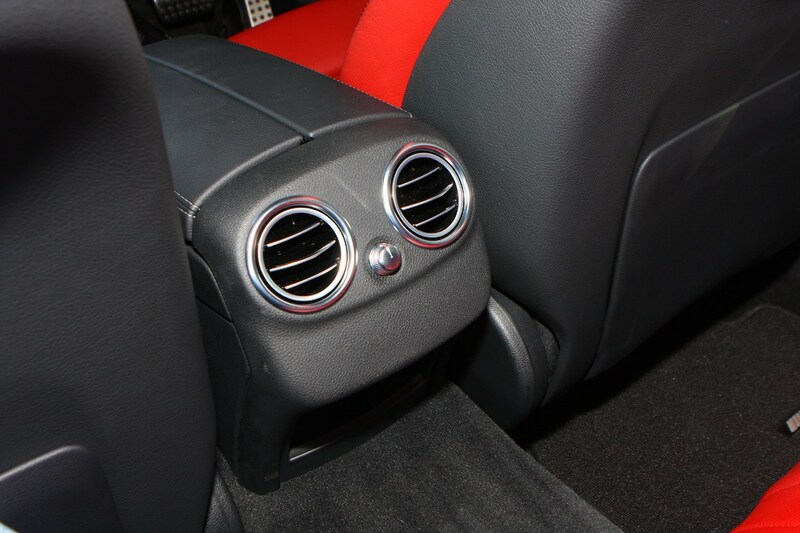 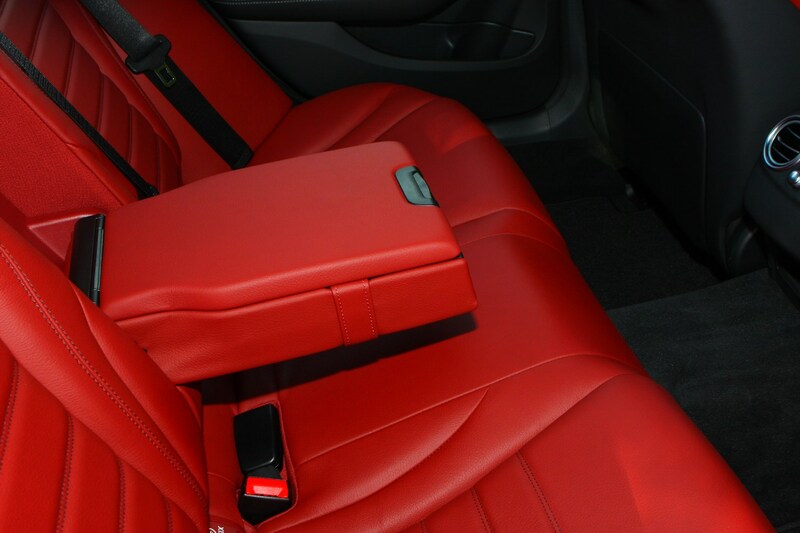 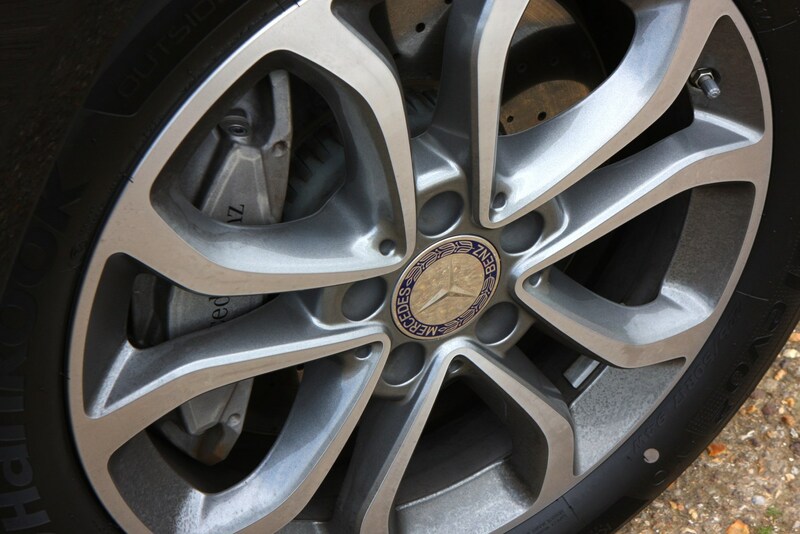 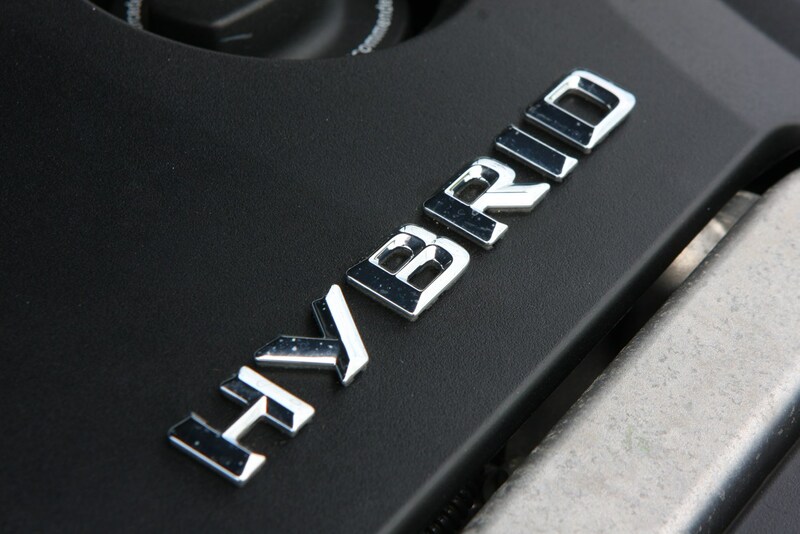 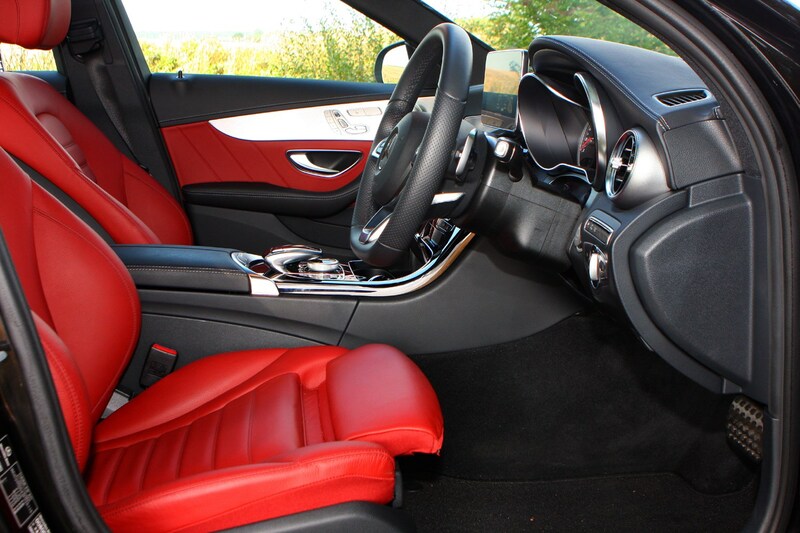 Other options include a range of paint schemes, interior trims and alloys. 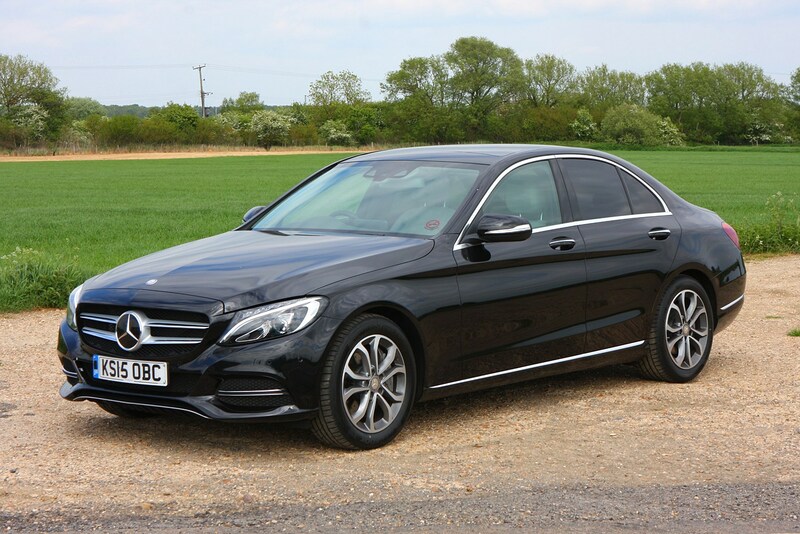 You can order a tow bar, a 360-degree reversing camera to cars without Premium or Premium Plus lines, a head-up display, a system to keep the cabin smelling nice, as well as Airmatic air suspension, memory function for the electric front seats and full leather upholstery. 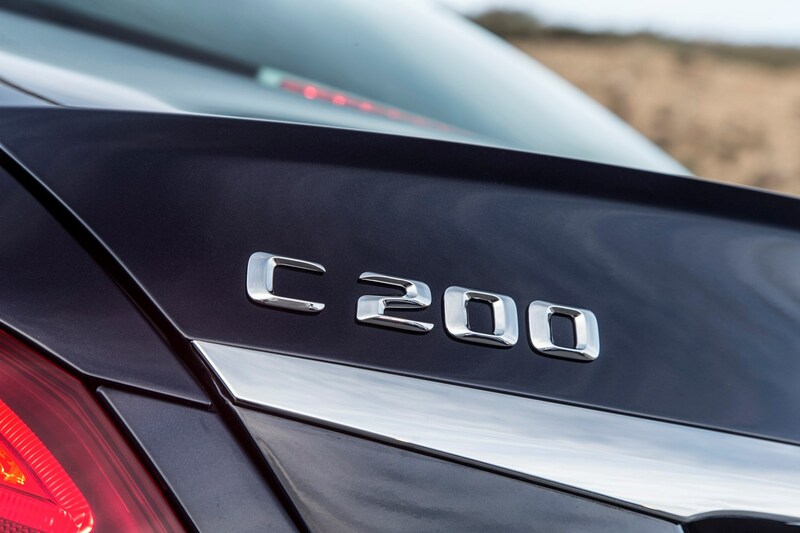 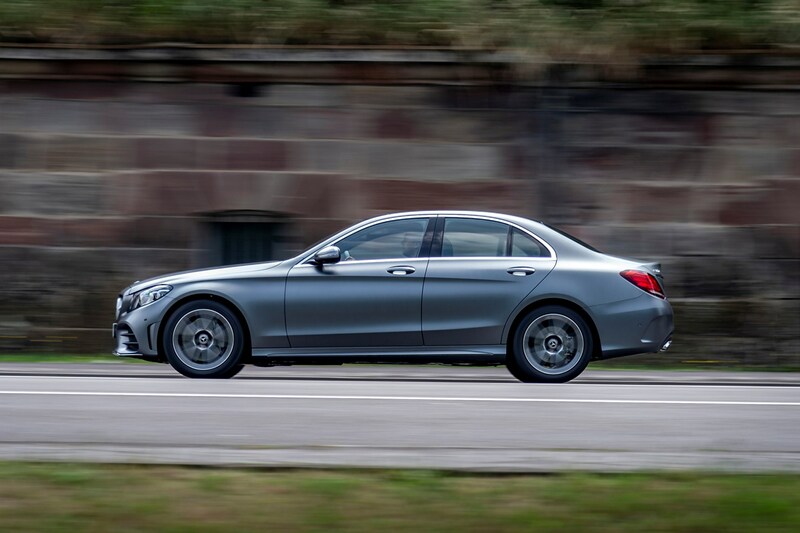 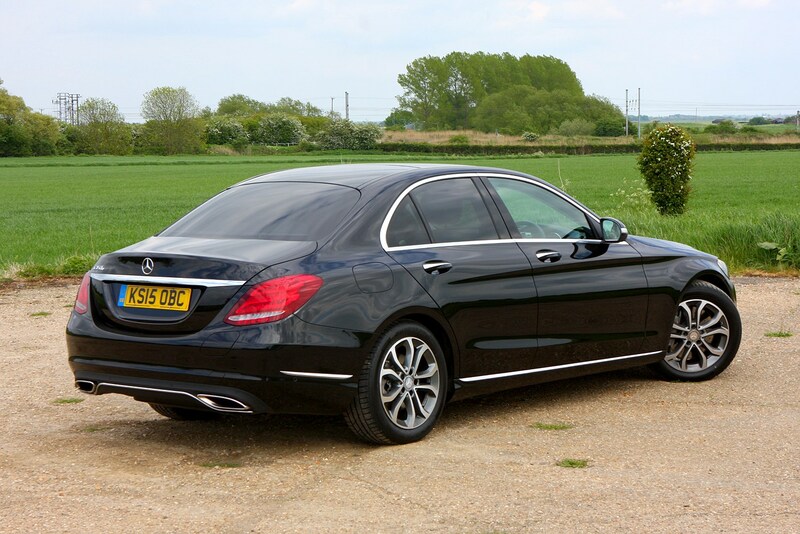 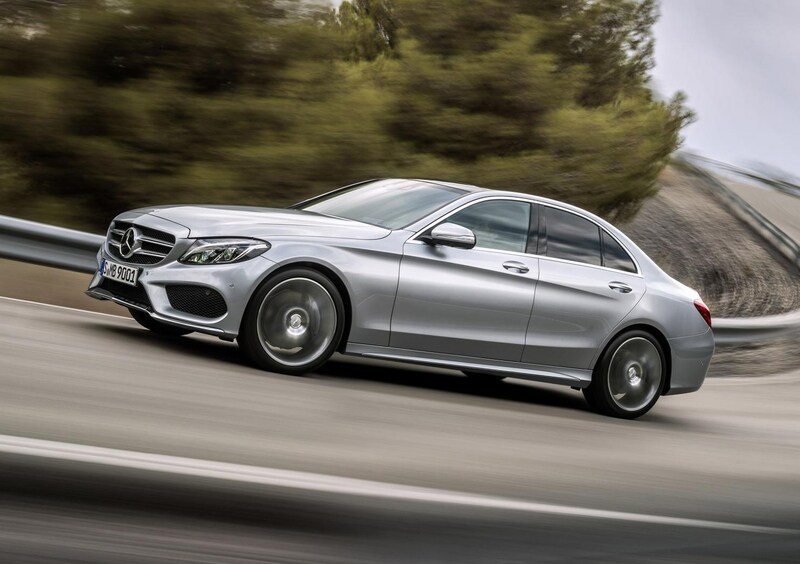 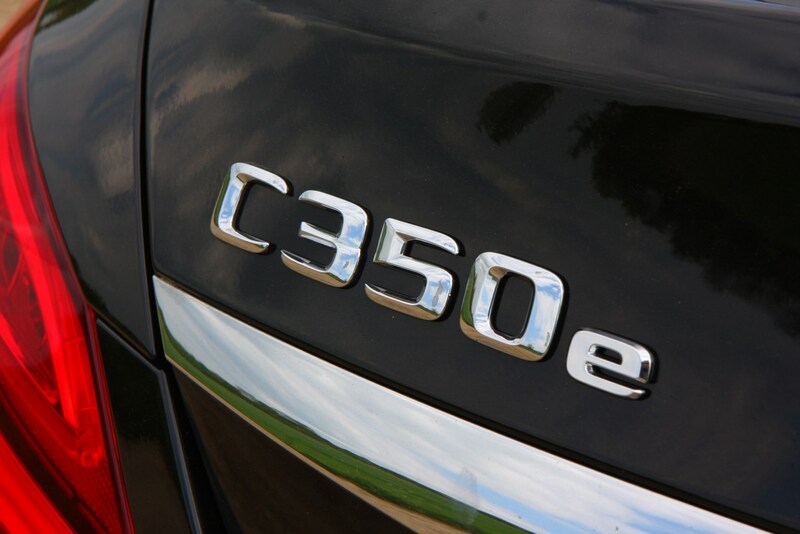 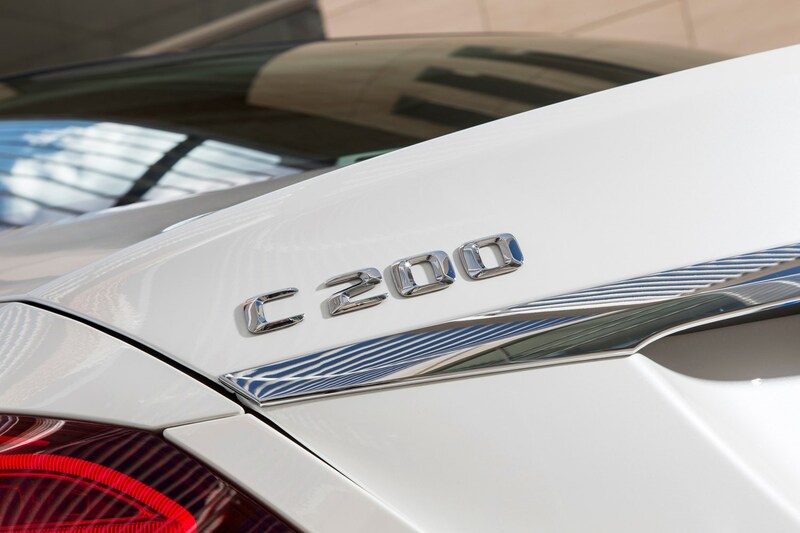 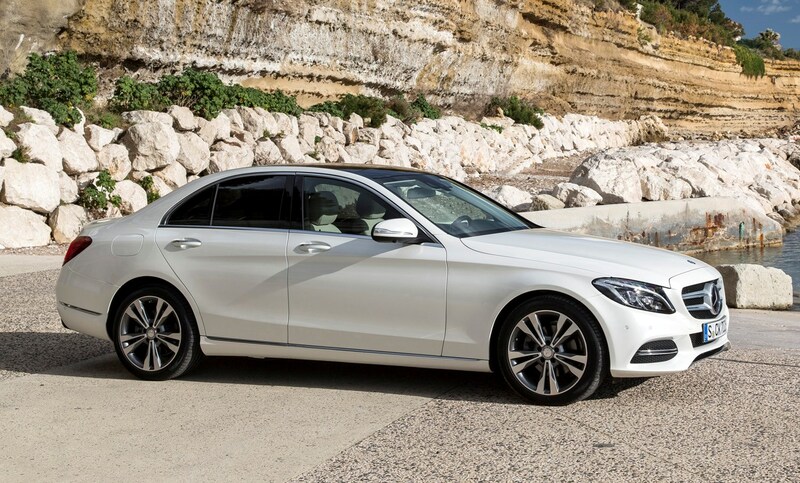 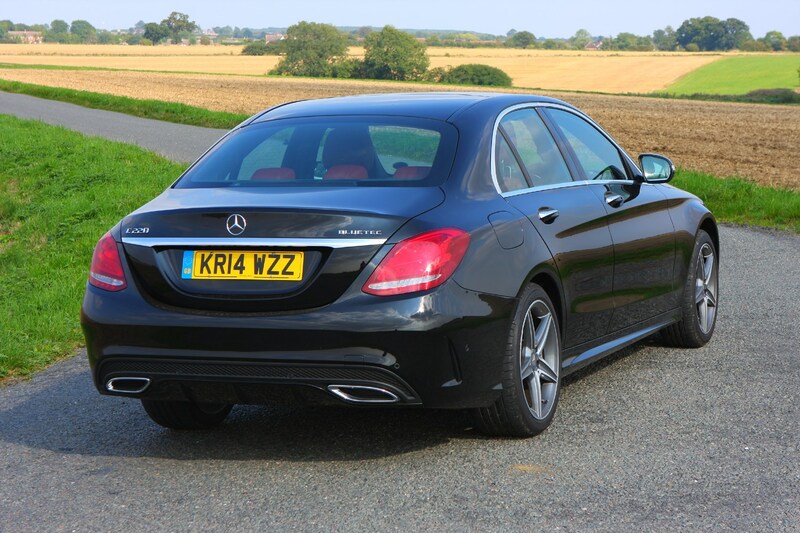 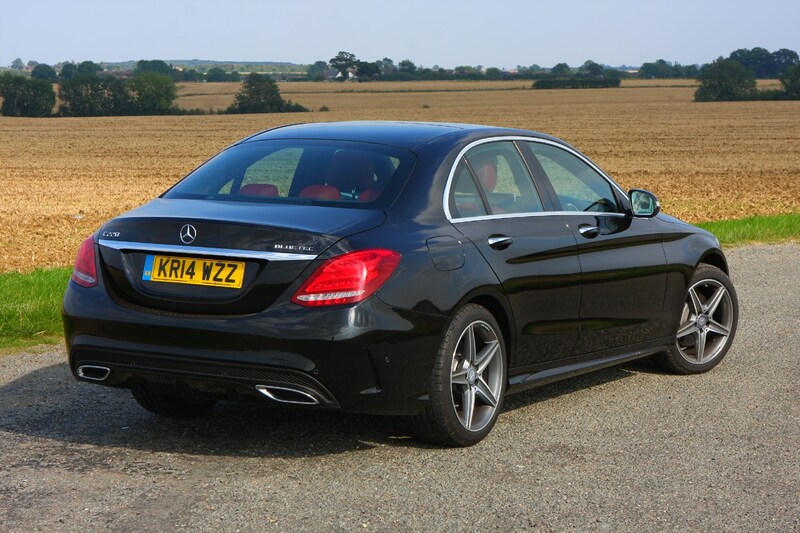 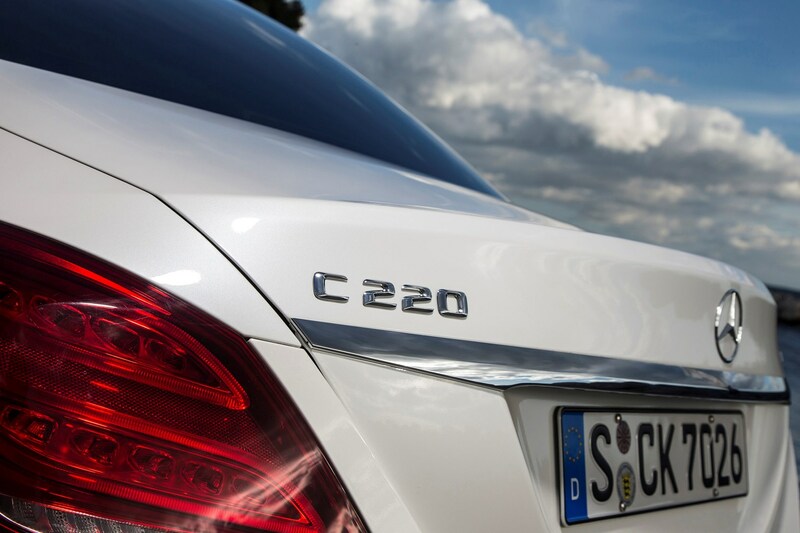 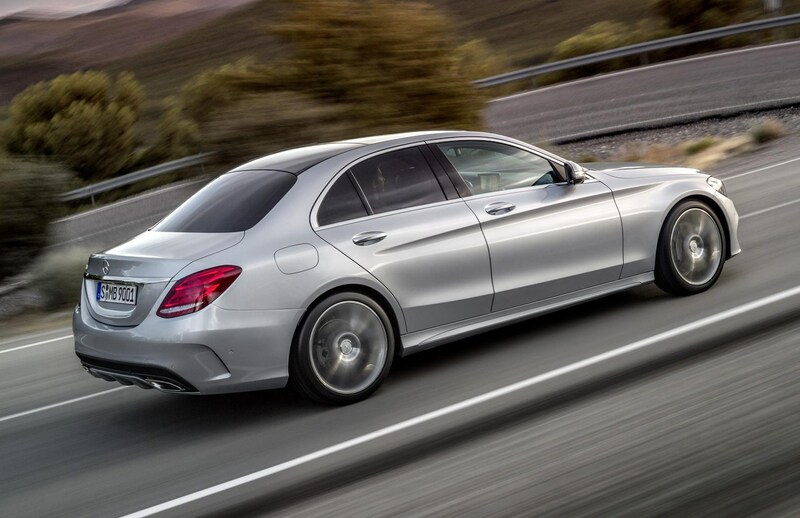 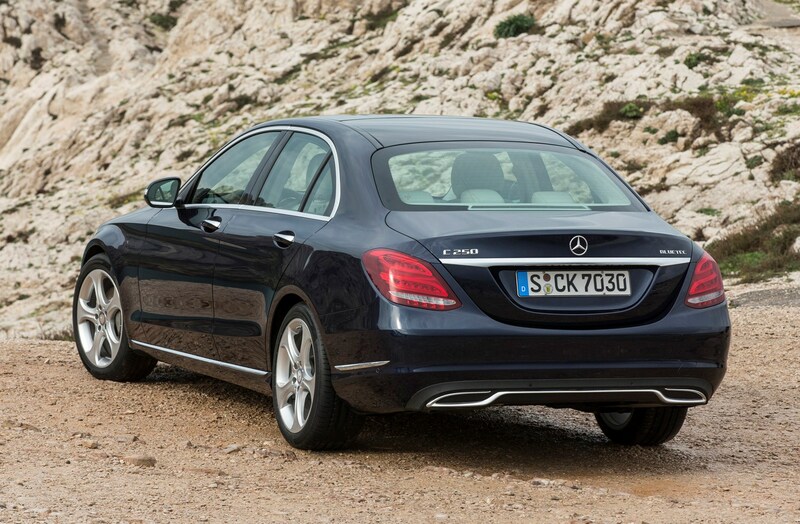 As you’d expect from a firm famous for it, the safety credentials of the C-Class are top-notch. 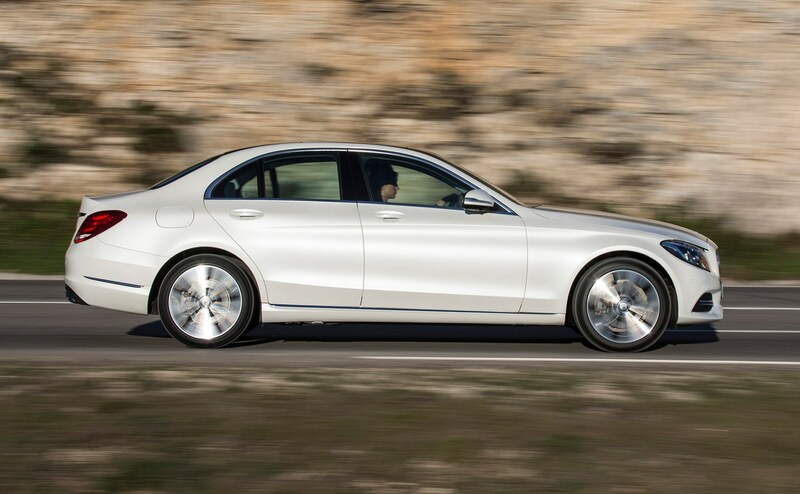 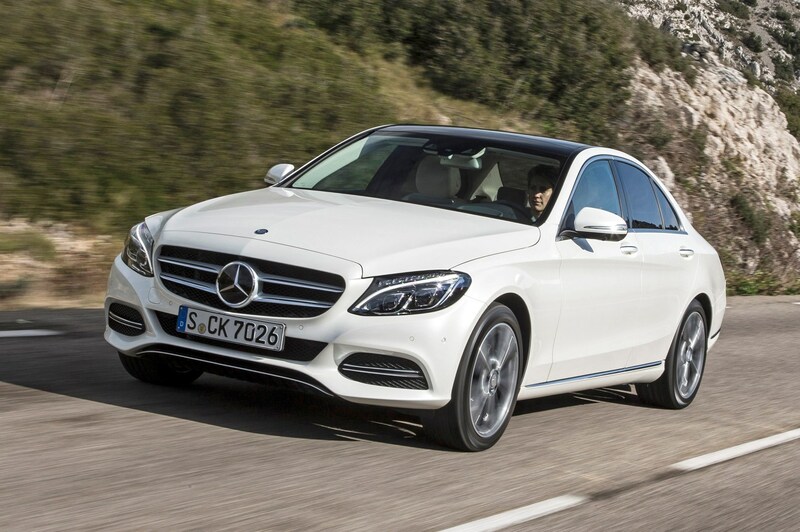 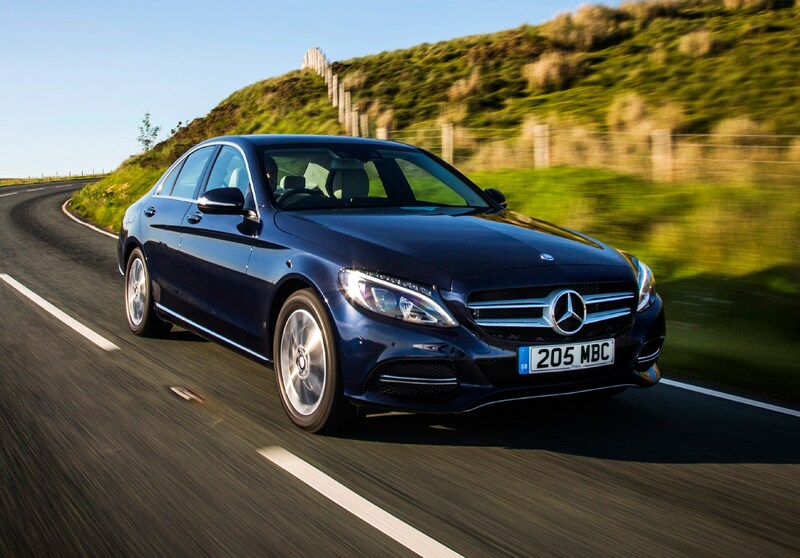 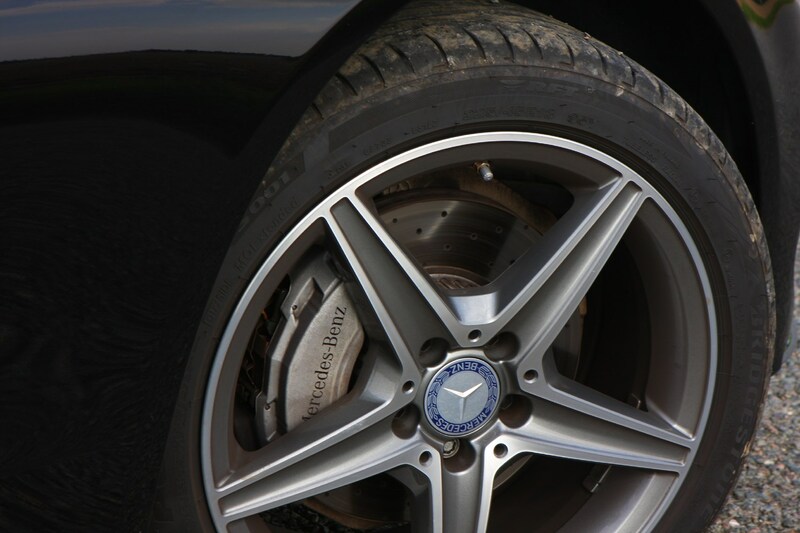 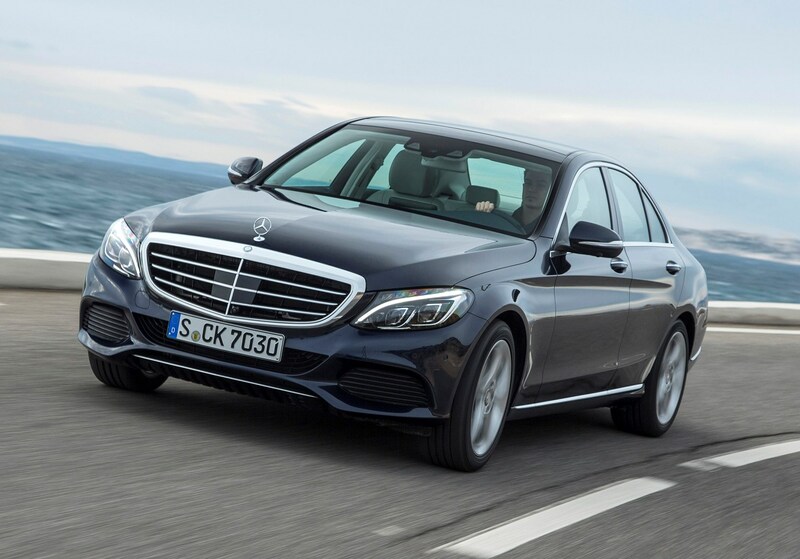 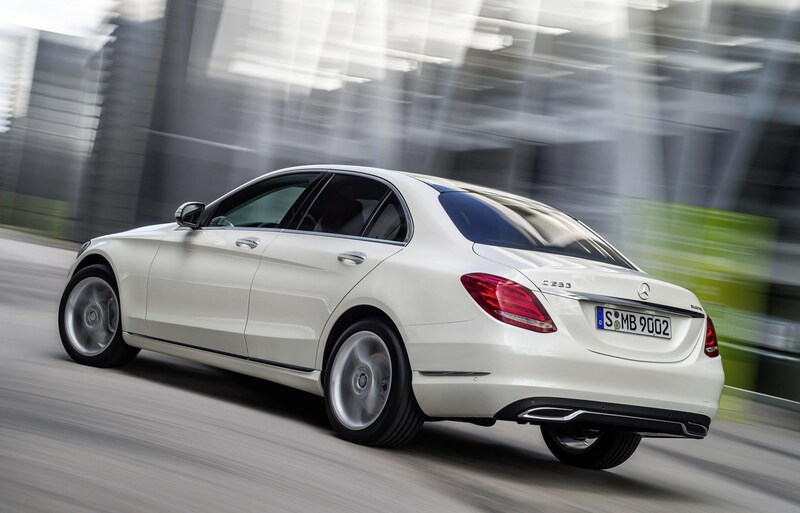 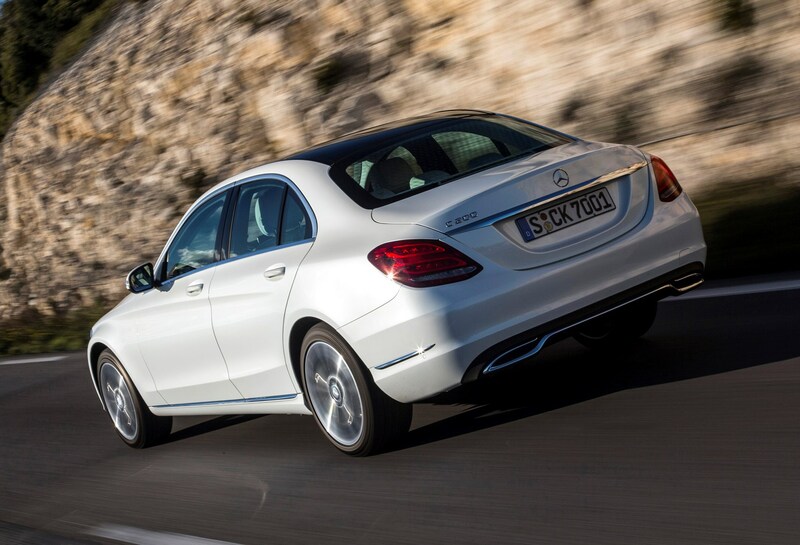 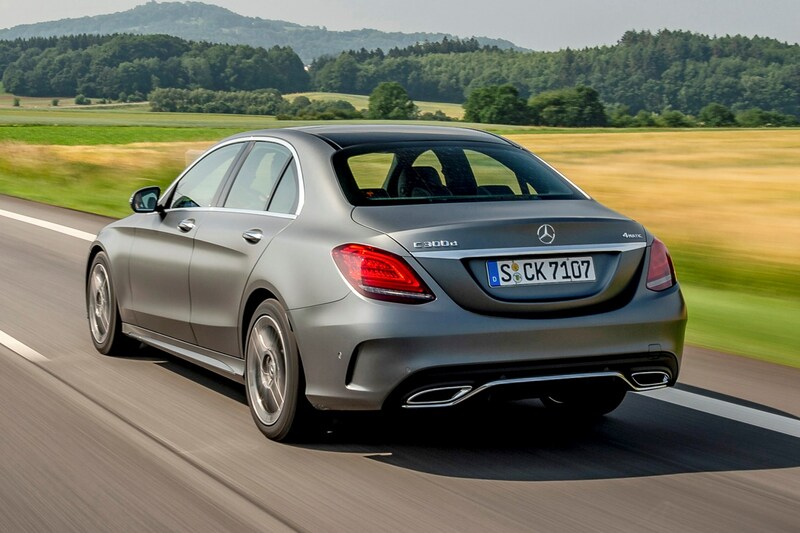 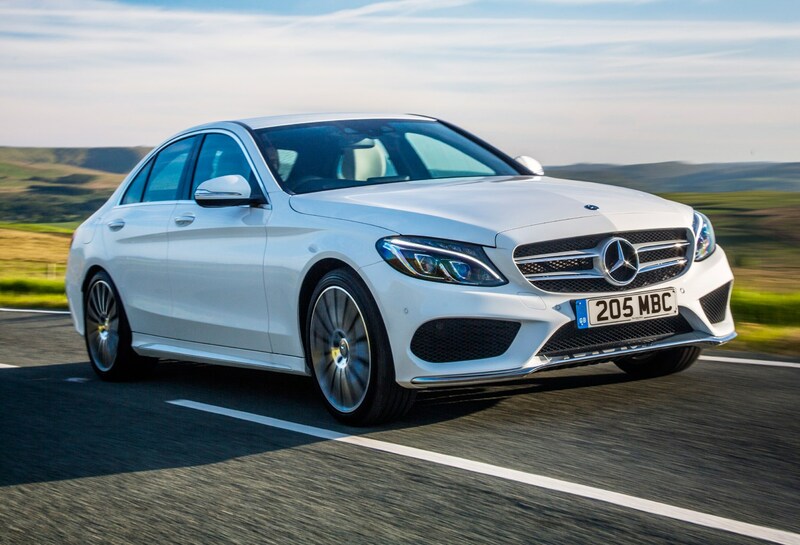 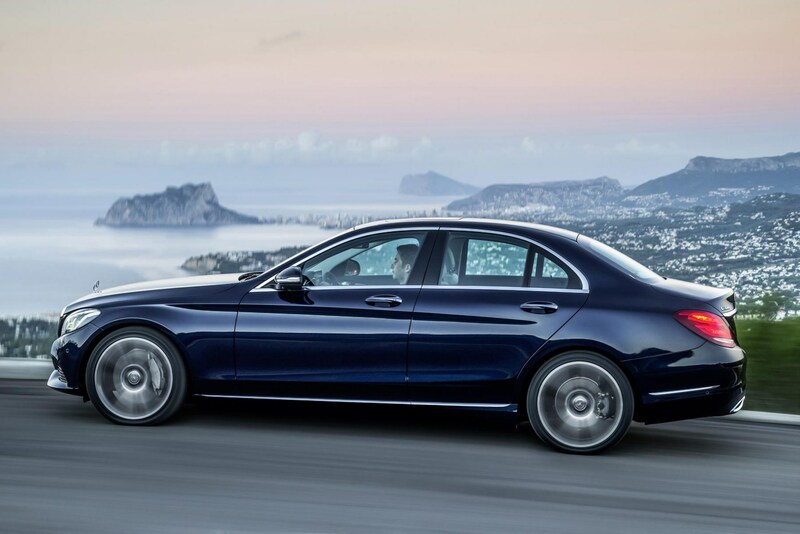 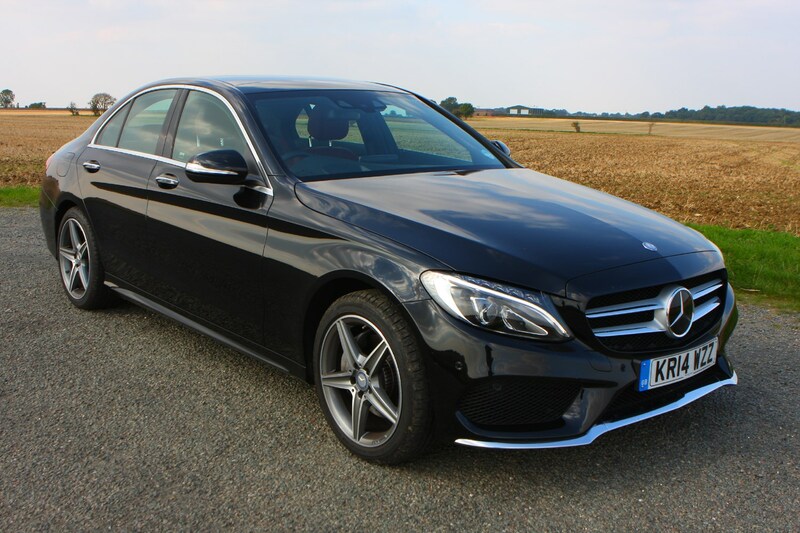 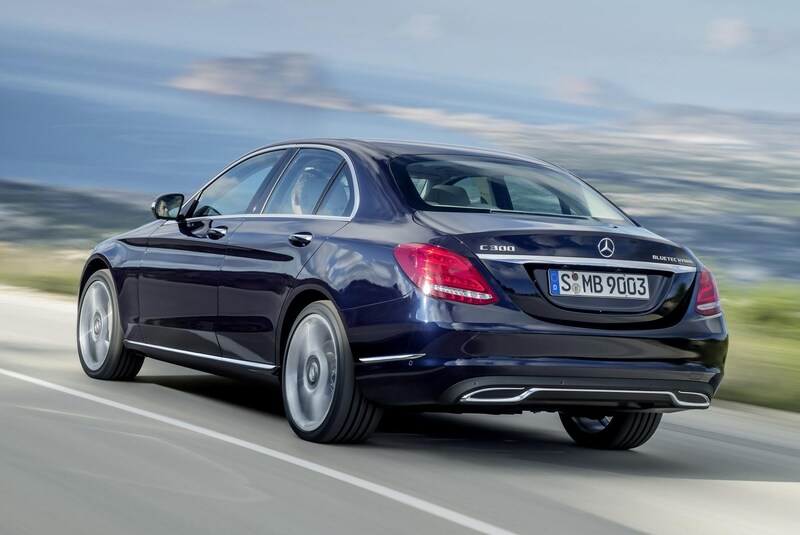 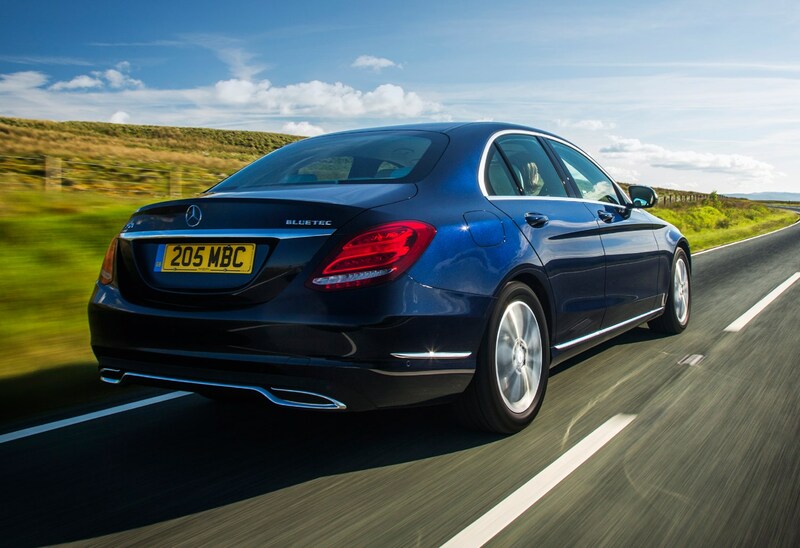 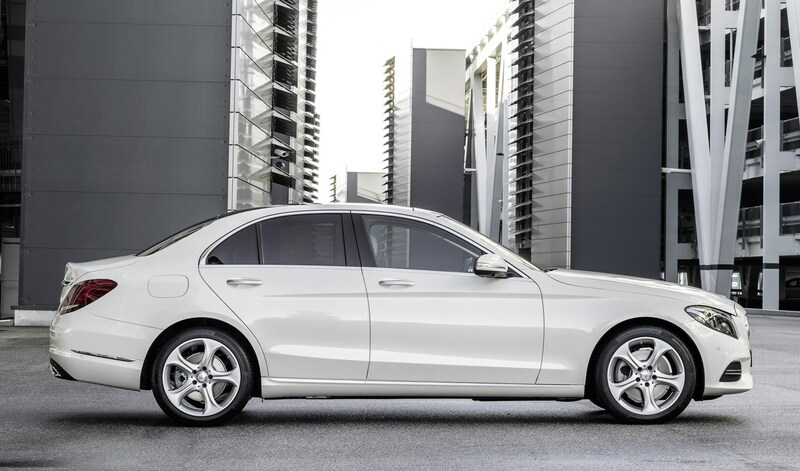 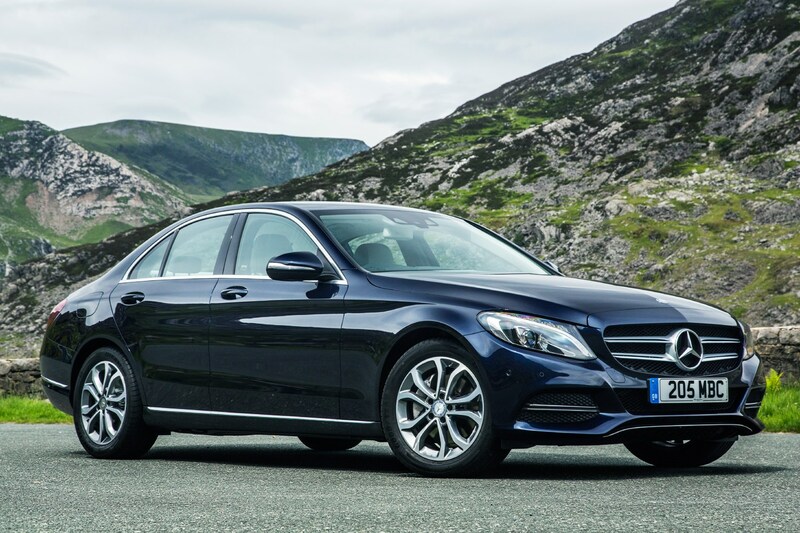 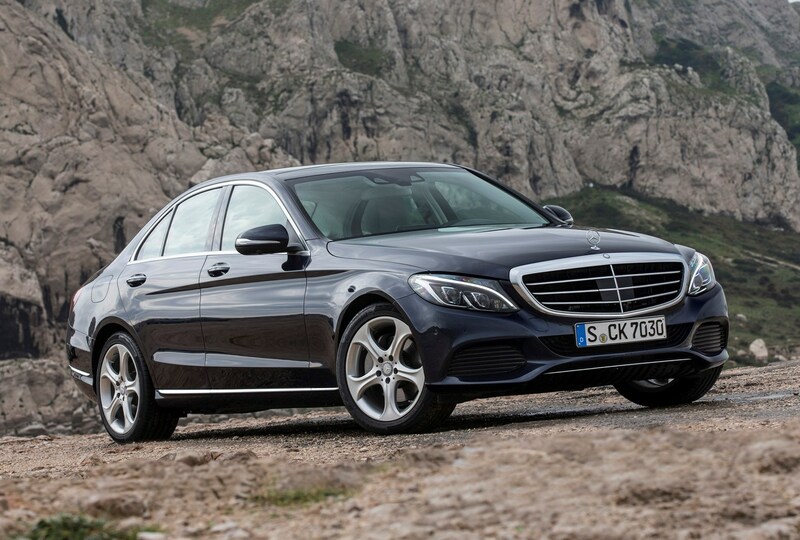 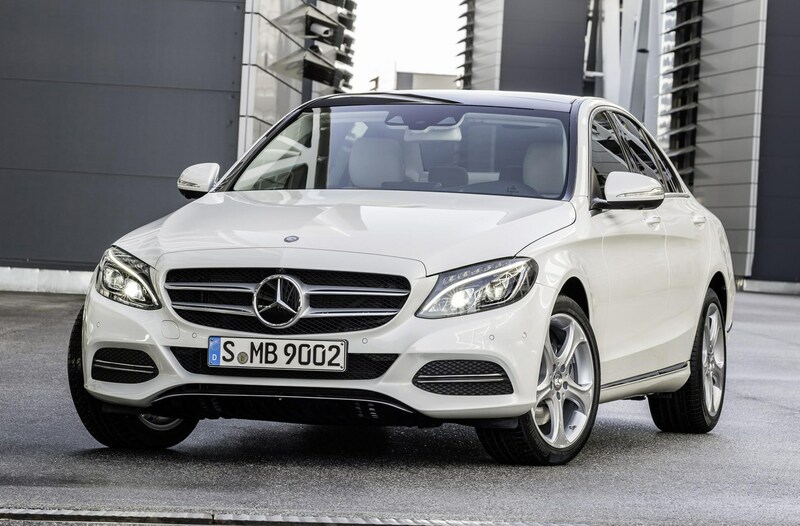 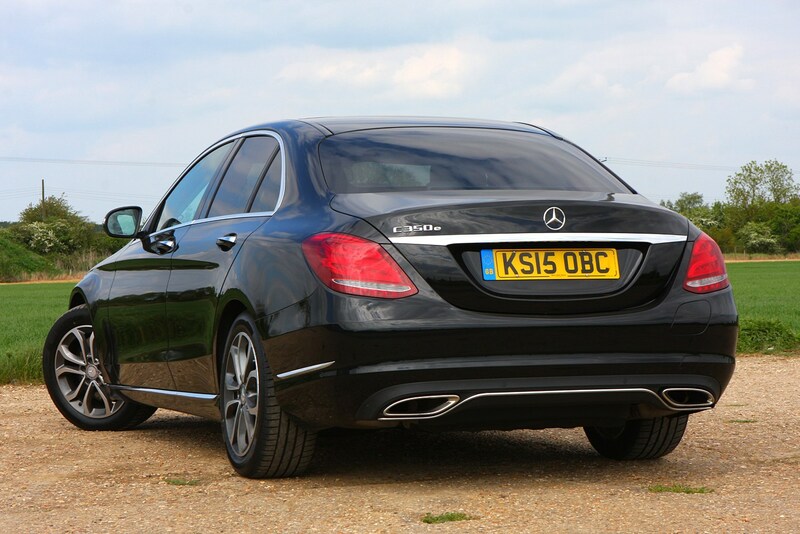 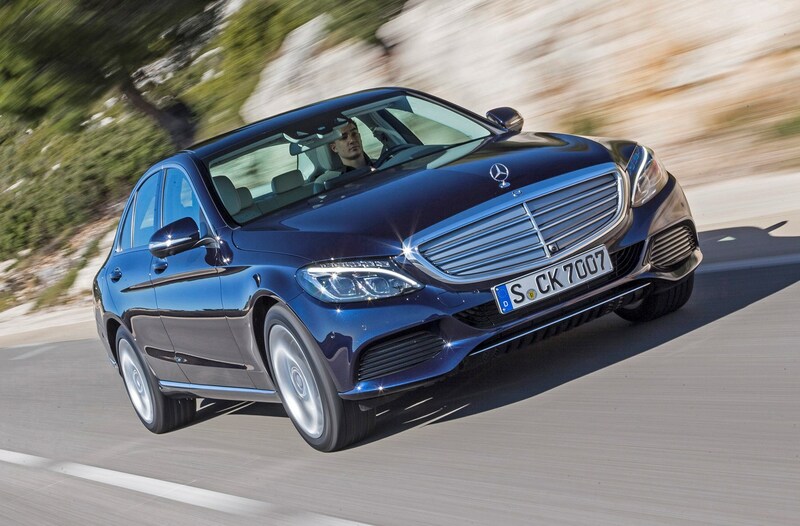 In Euro NCAP crash tests, the Merc was awarded five stars. 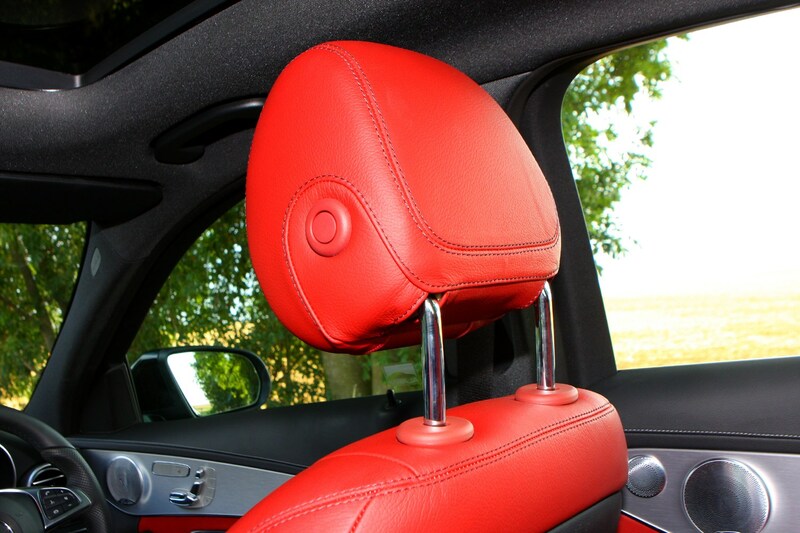 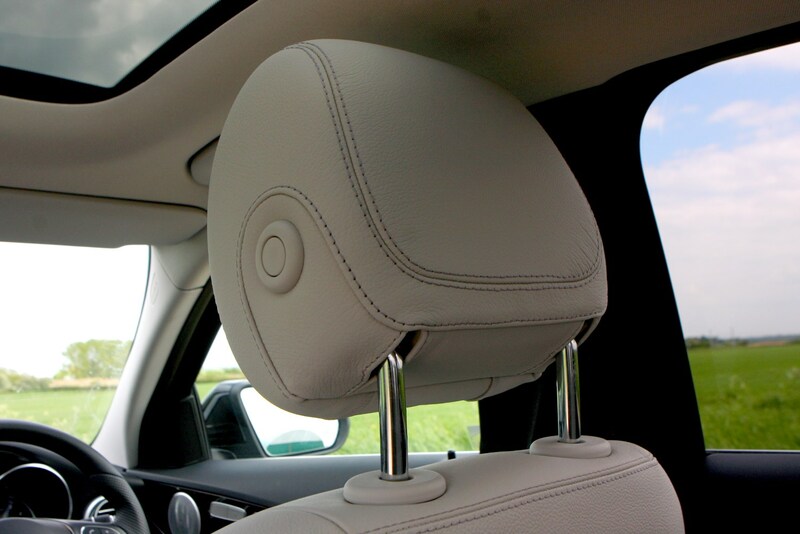 There are seven airbags as standard, while a further two in the rear can be ordered as optional extras. 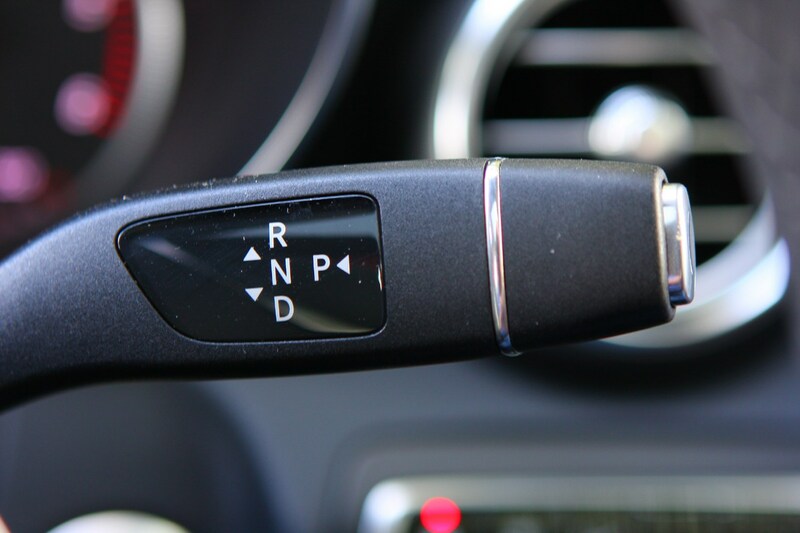 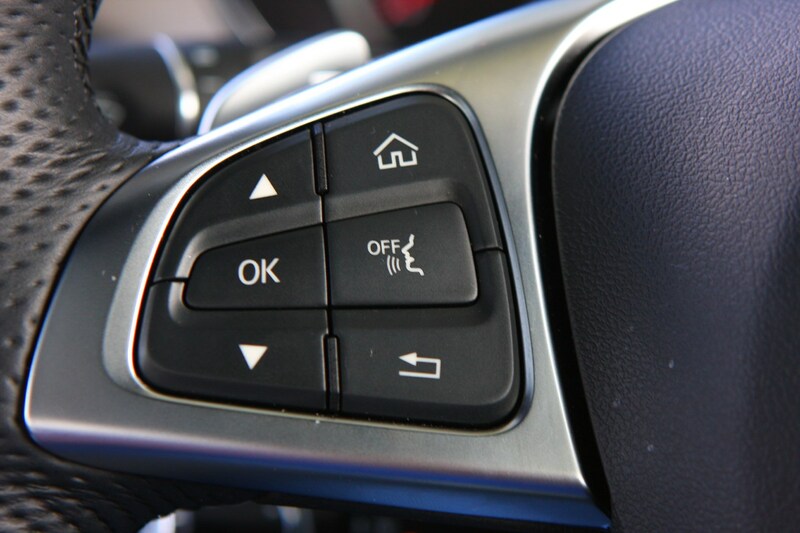 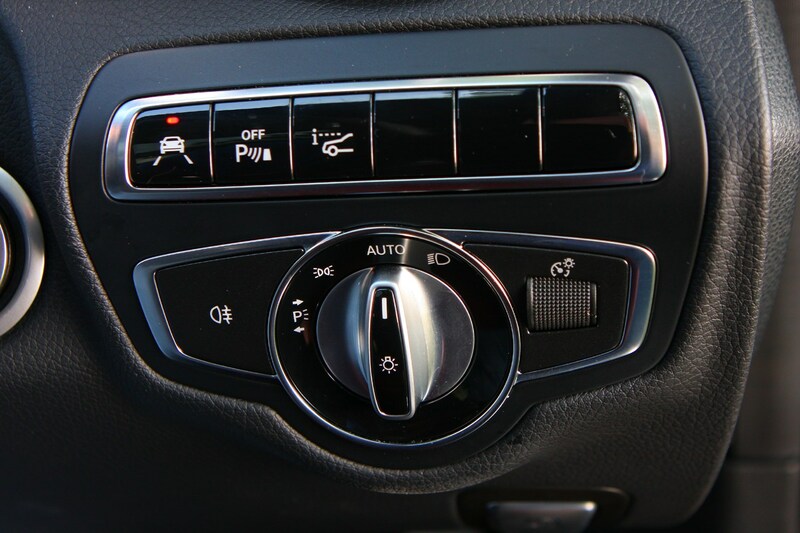 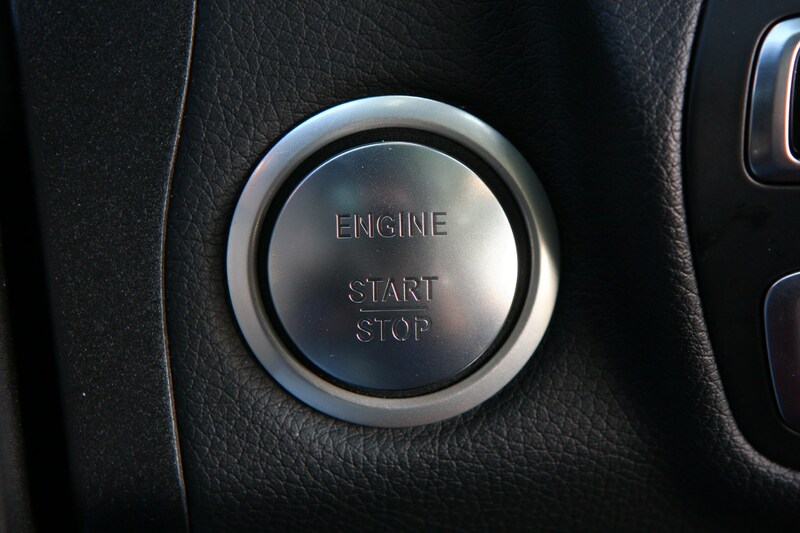 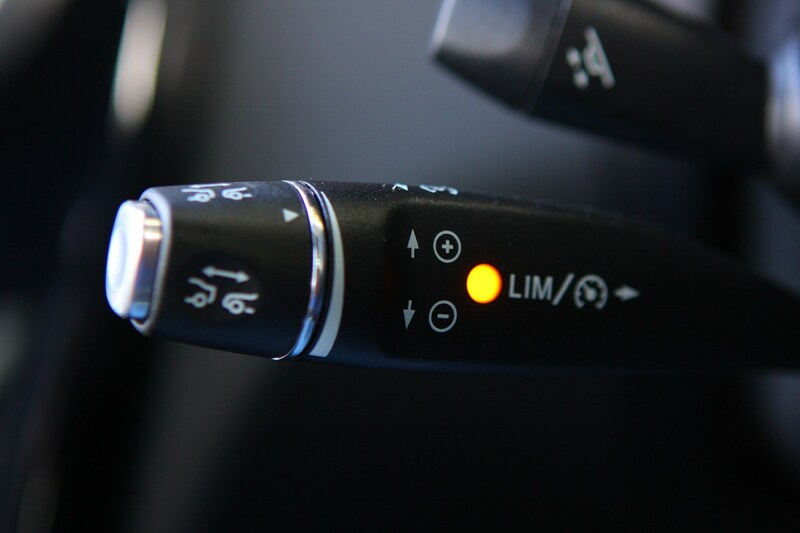 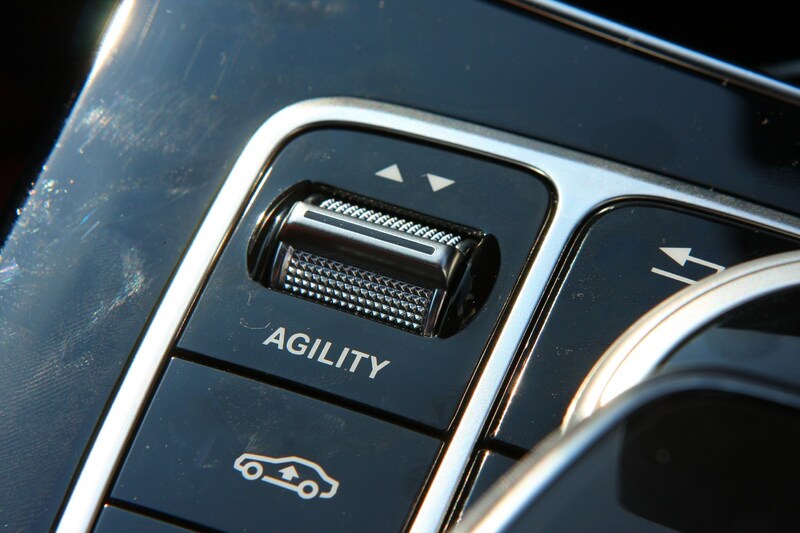 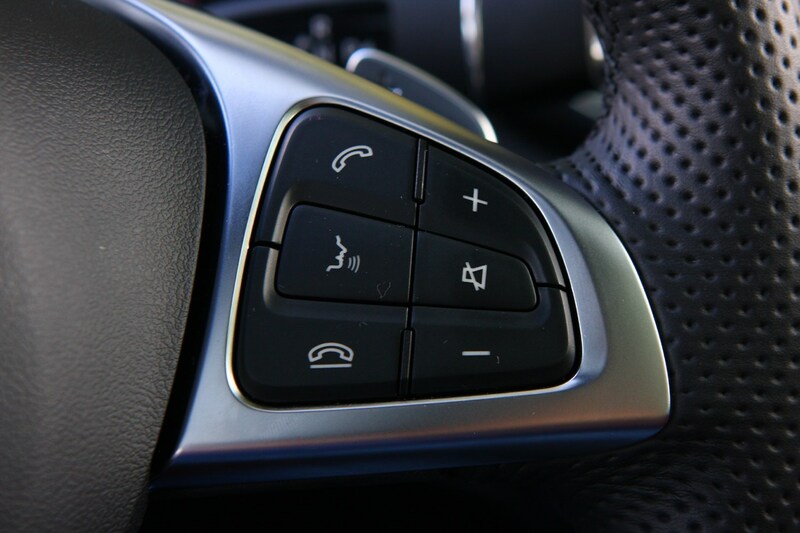 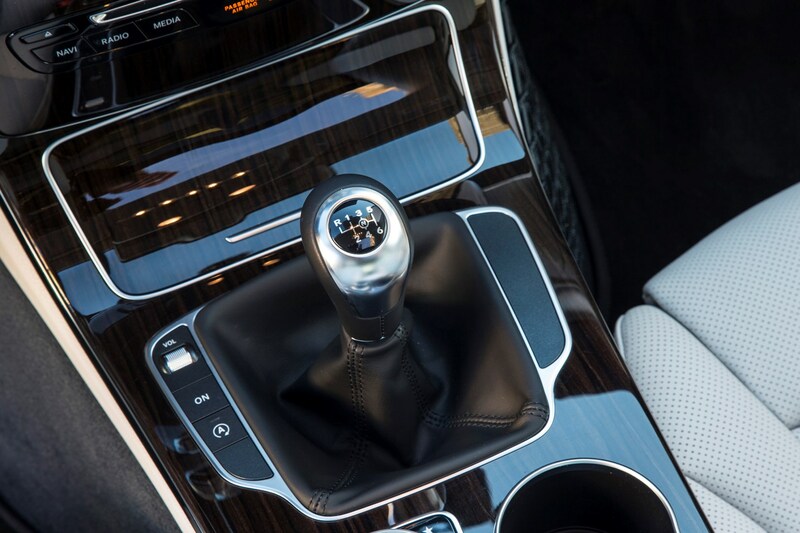 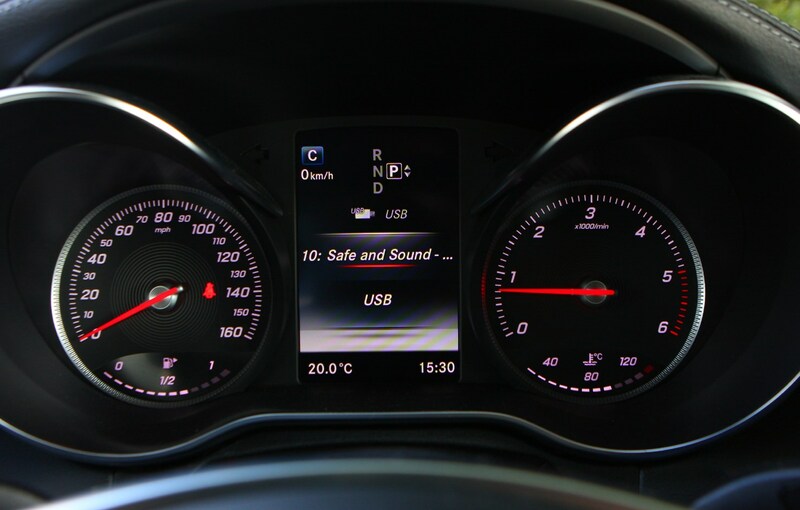 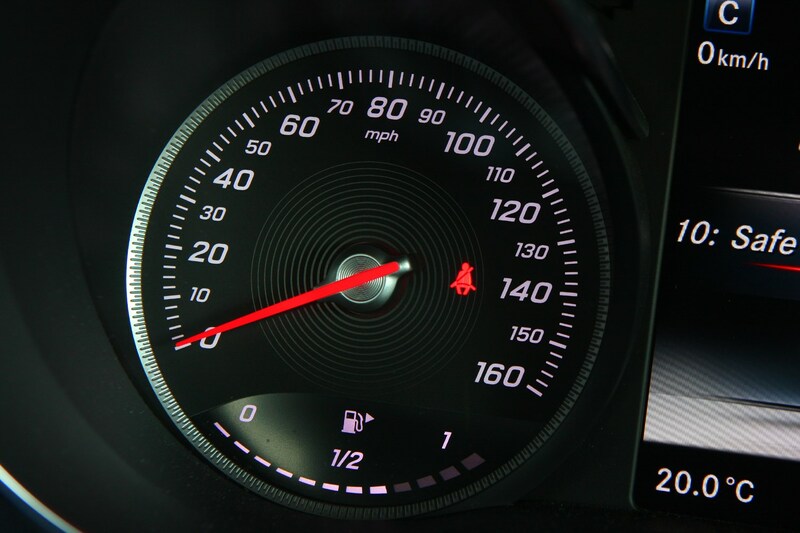 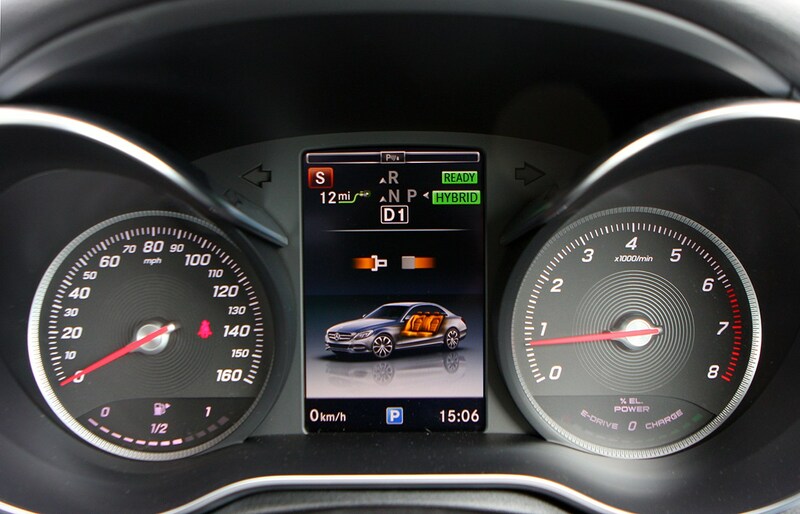 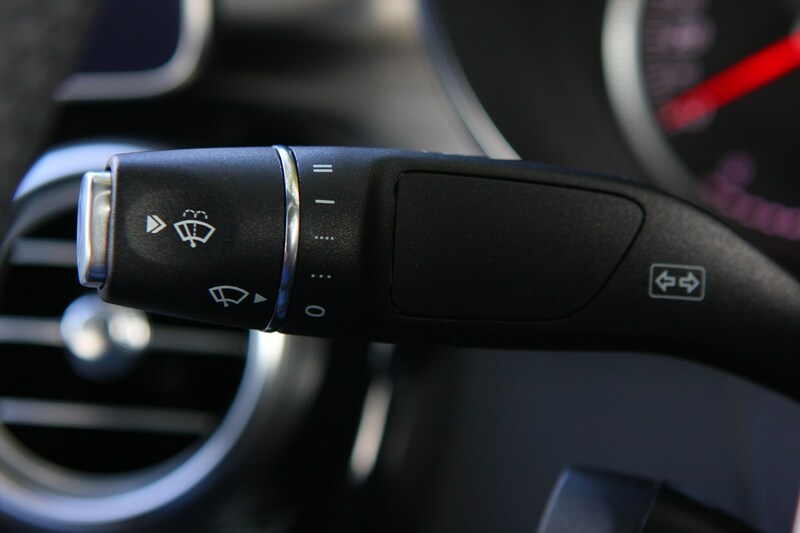 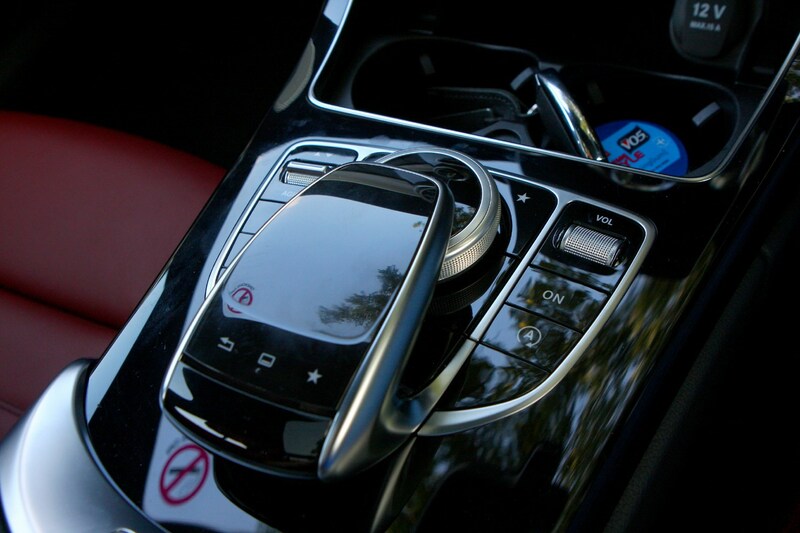 Other standard equipment includes Attention Assist (which warns the driver if the car senses they’re tired) and Collision Prevention Assist Plus, which can autonomously brake the vehicle. 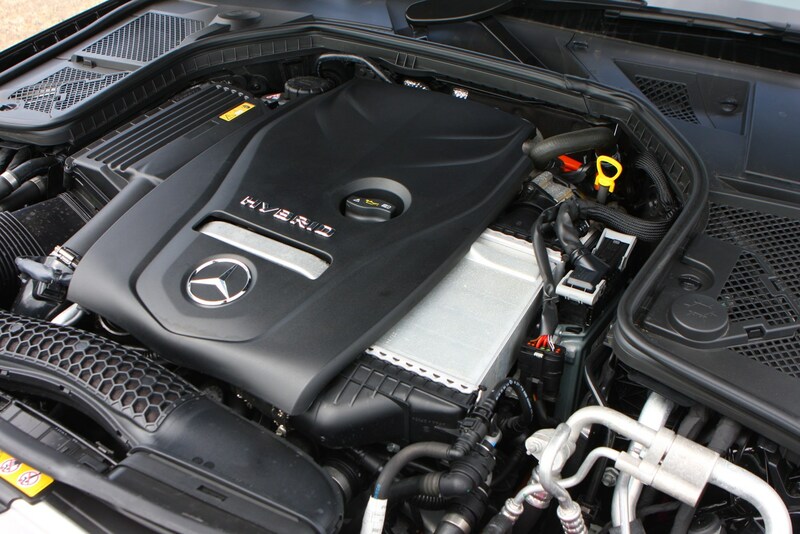 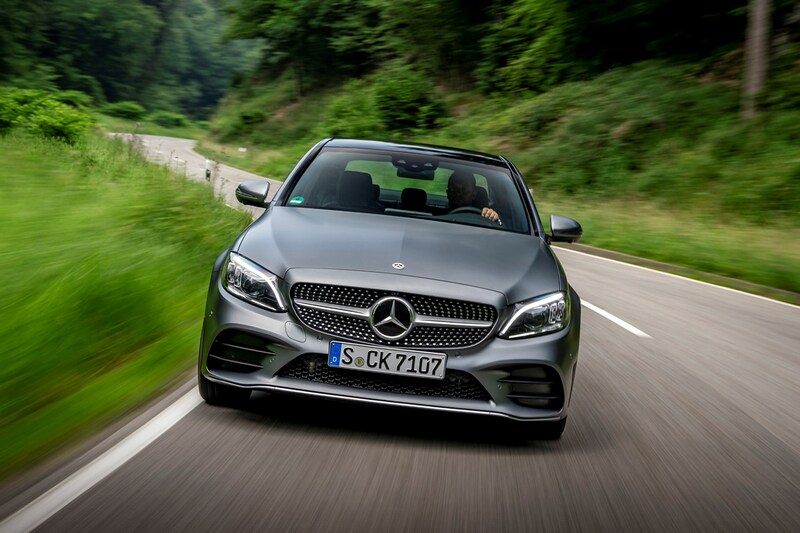 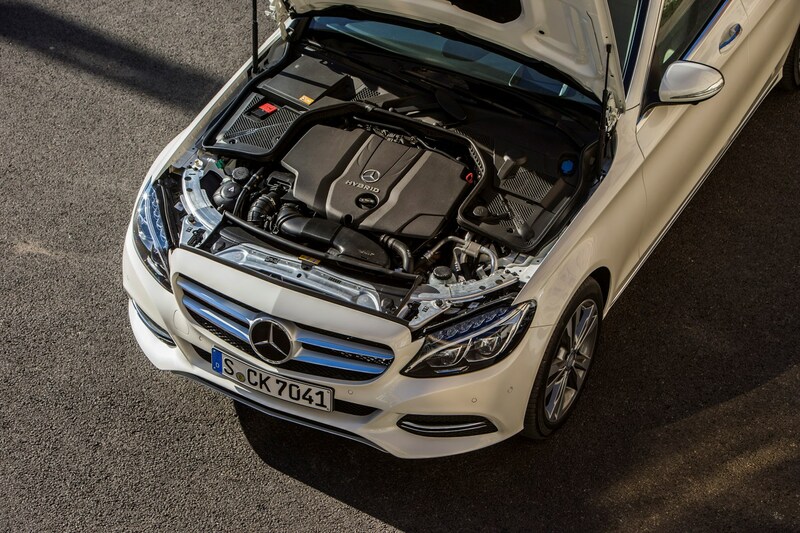 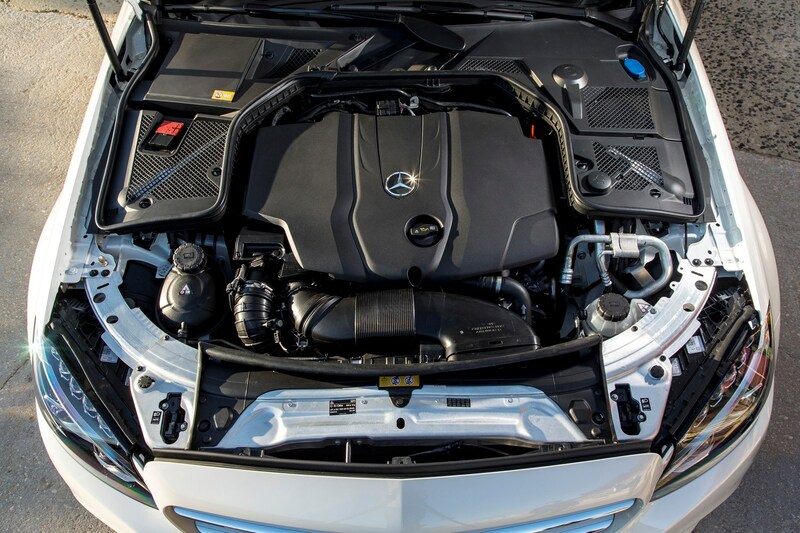 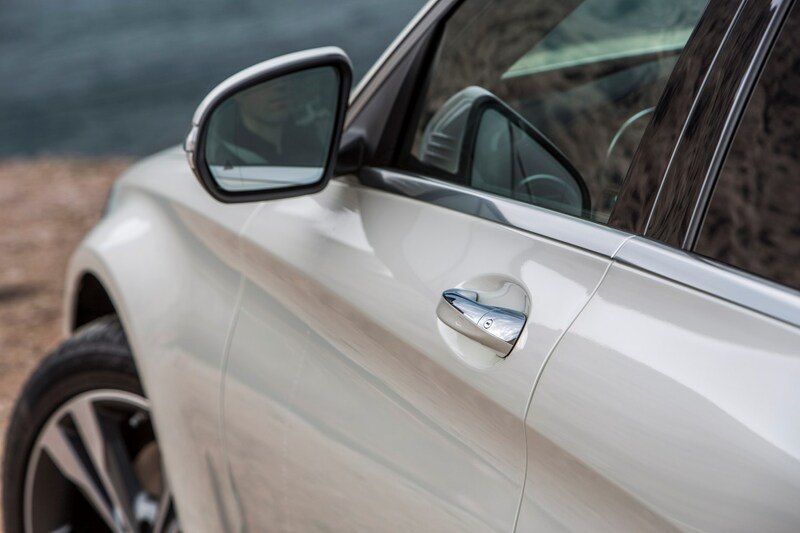 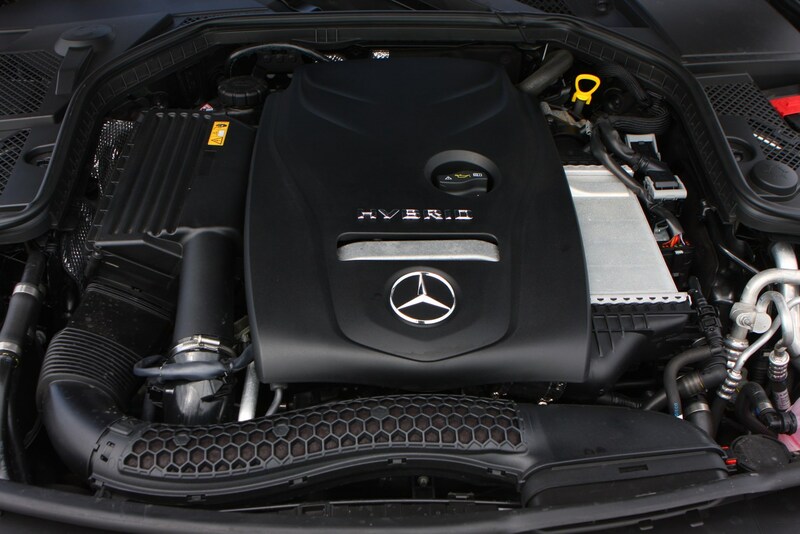 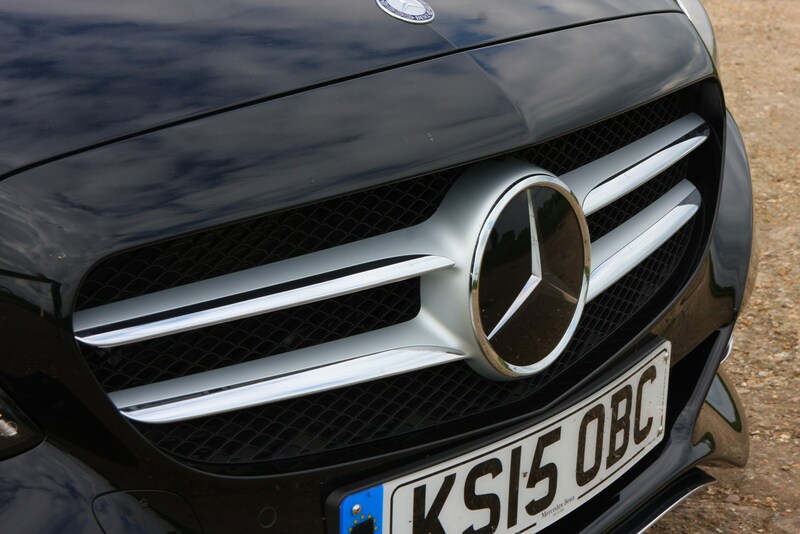 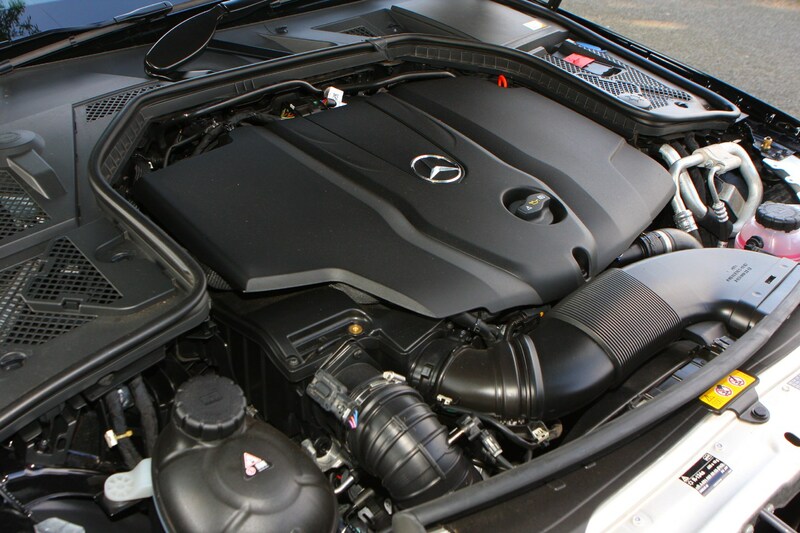 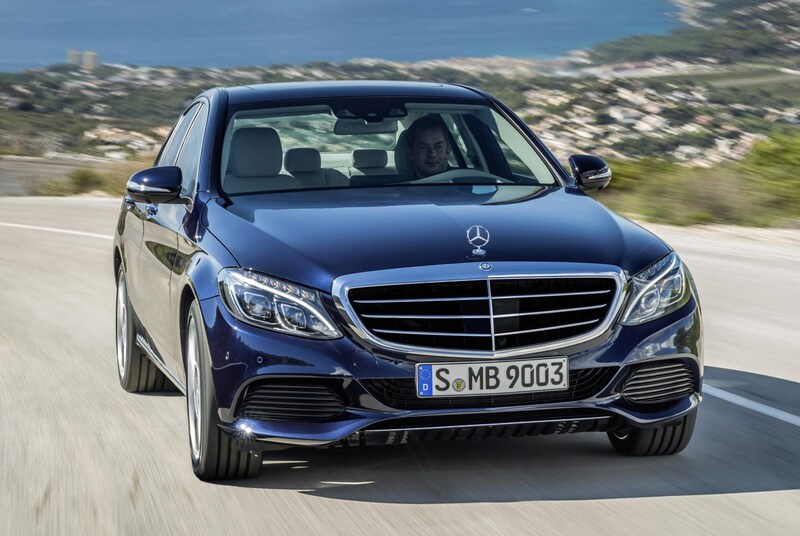 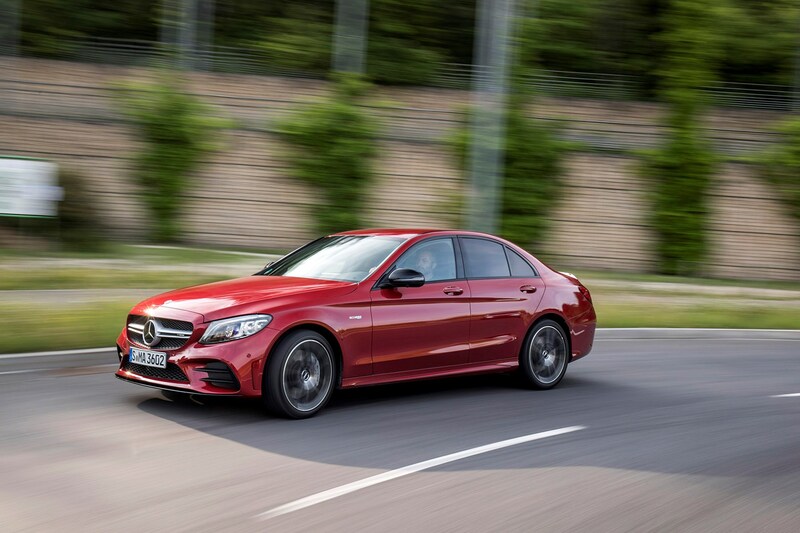 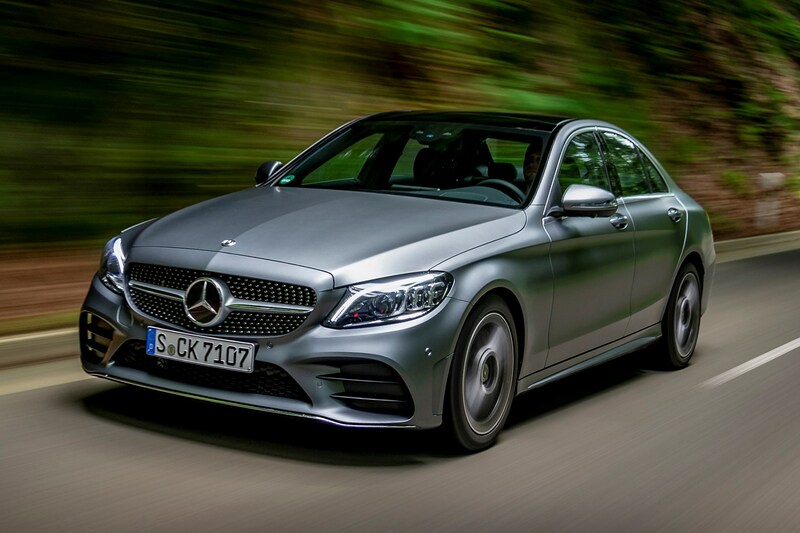 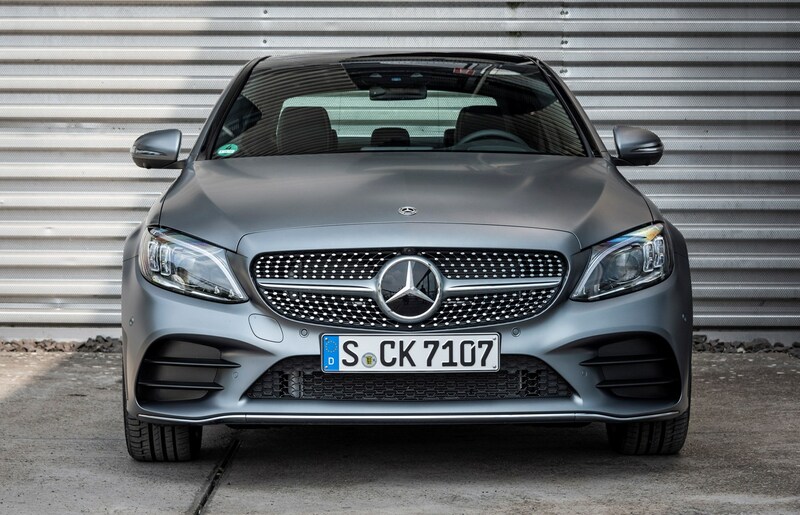 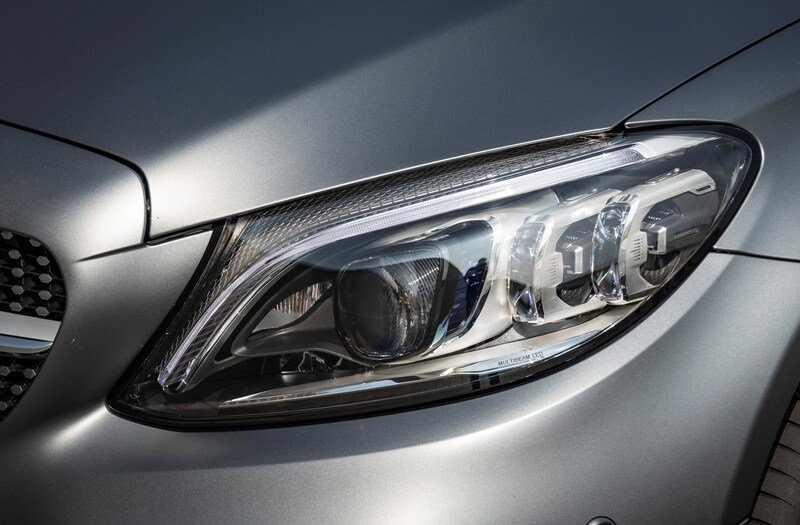 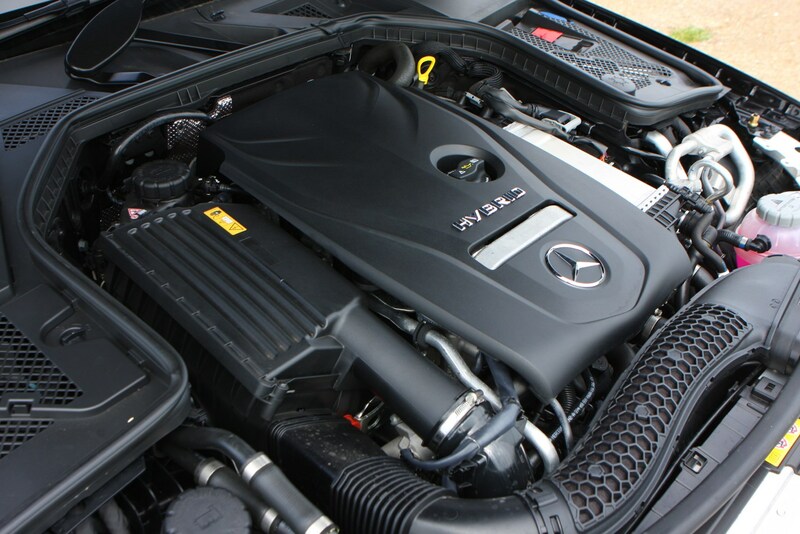 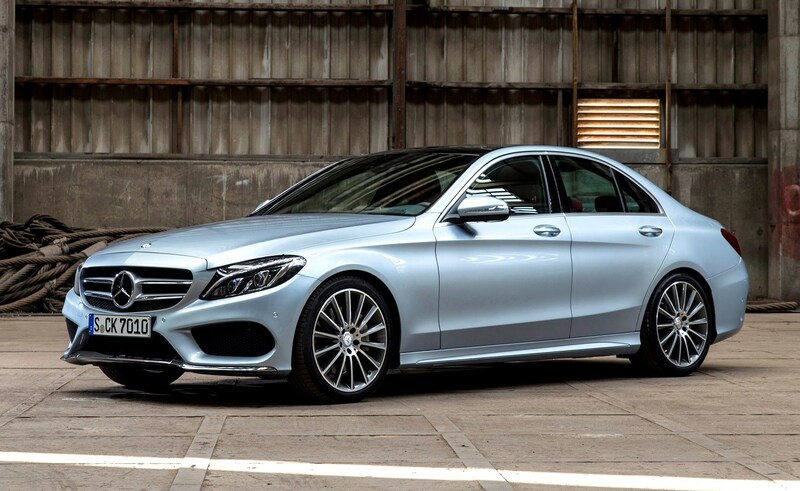 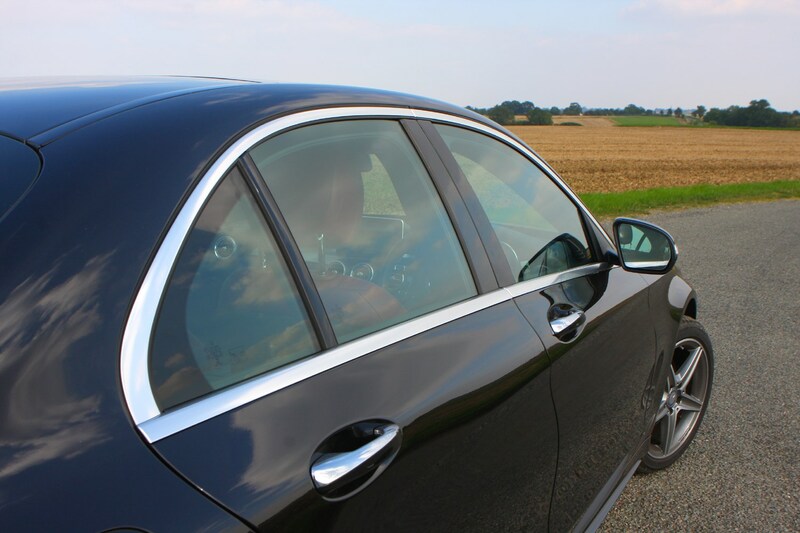 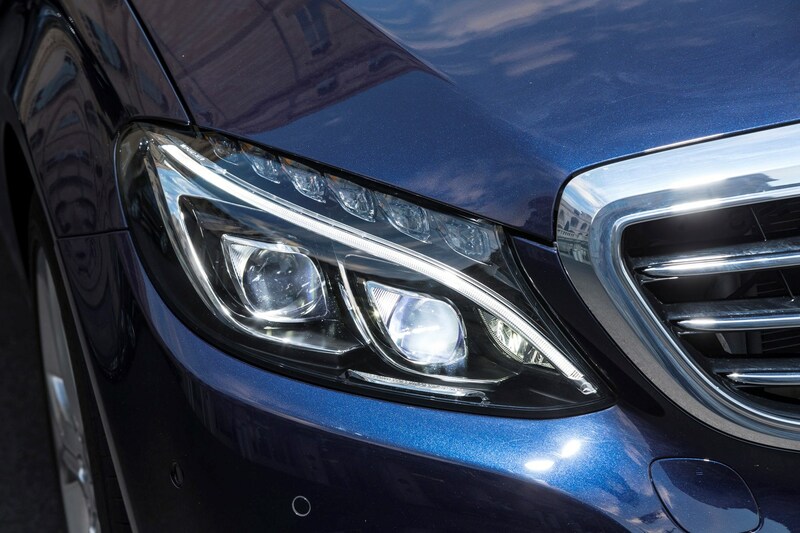 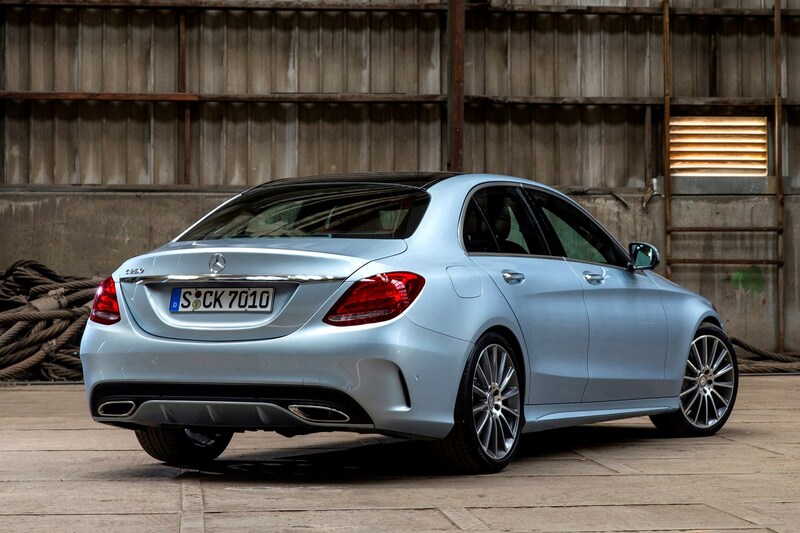 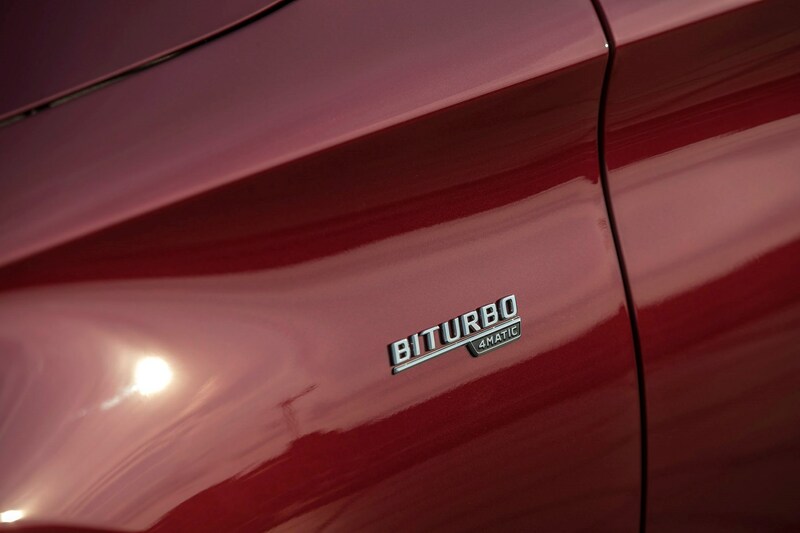 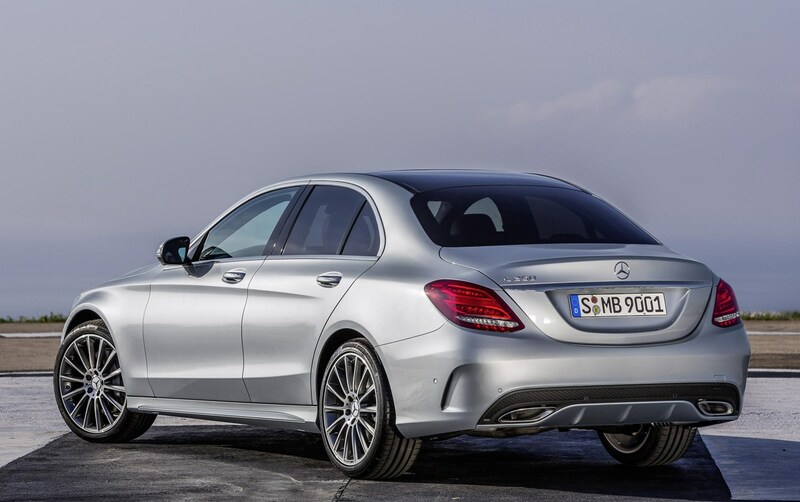 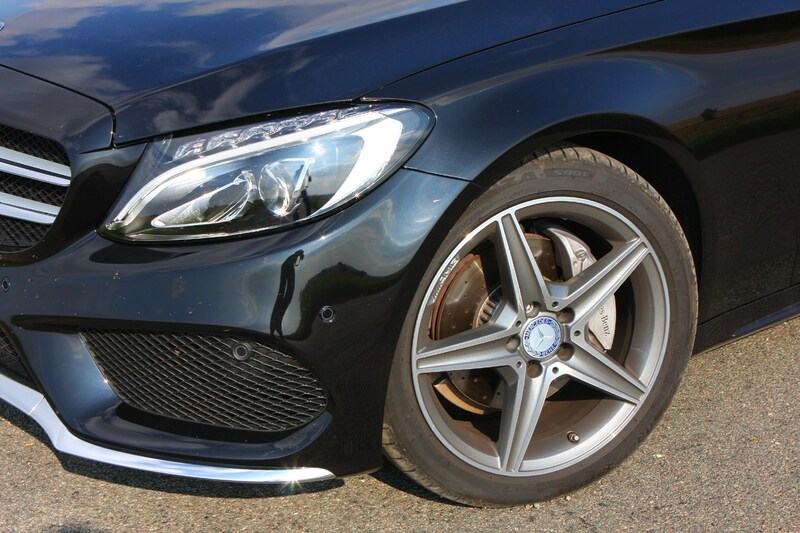 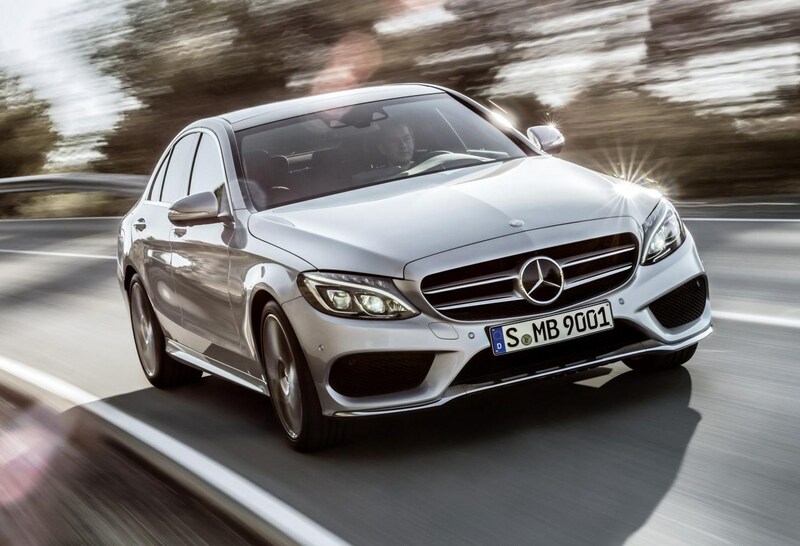 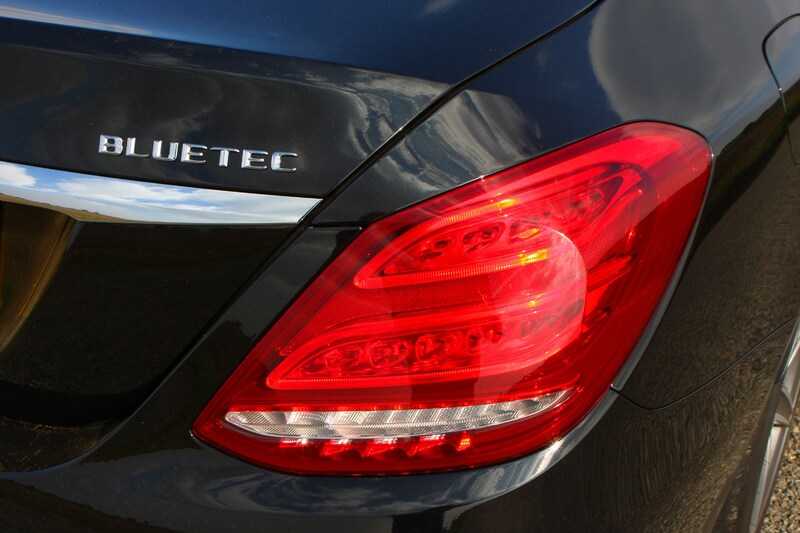 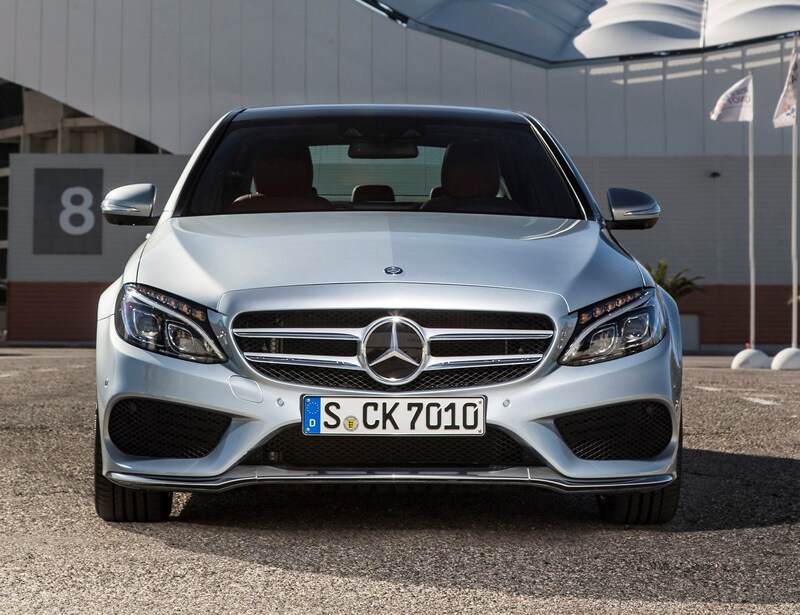 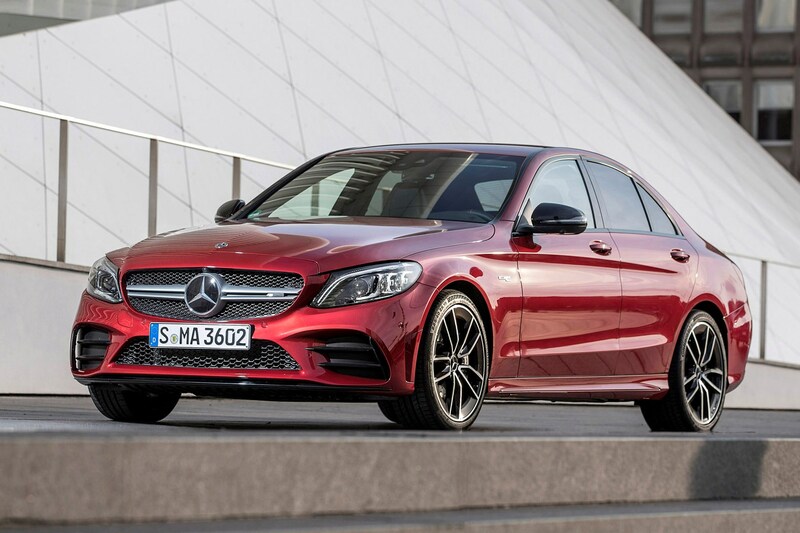 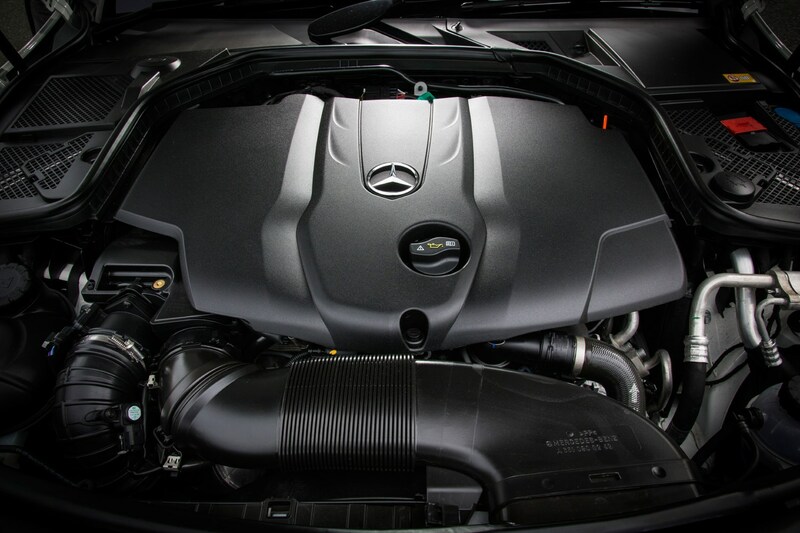 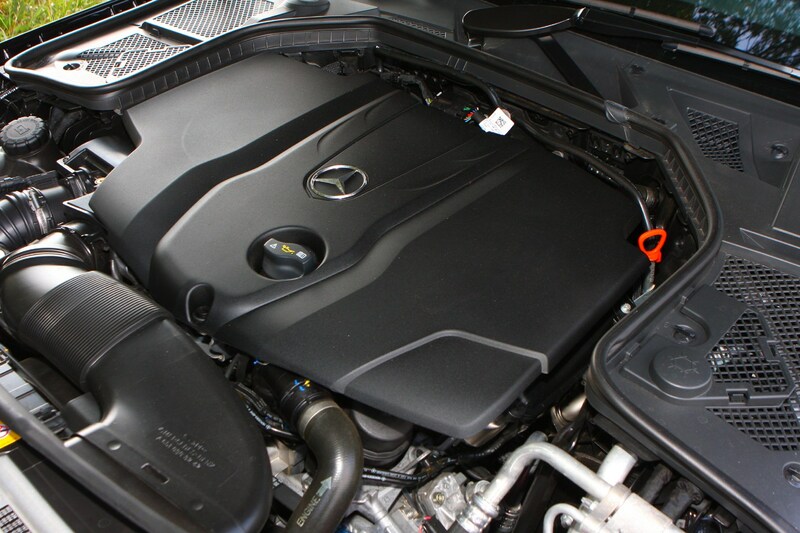 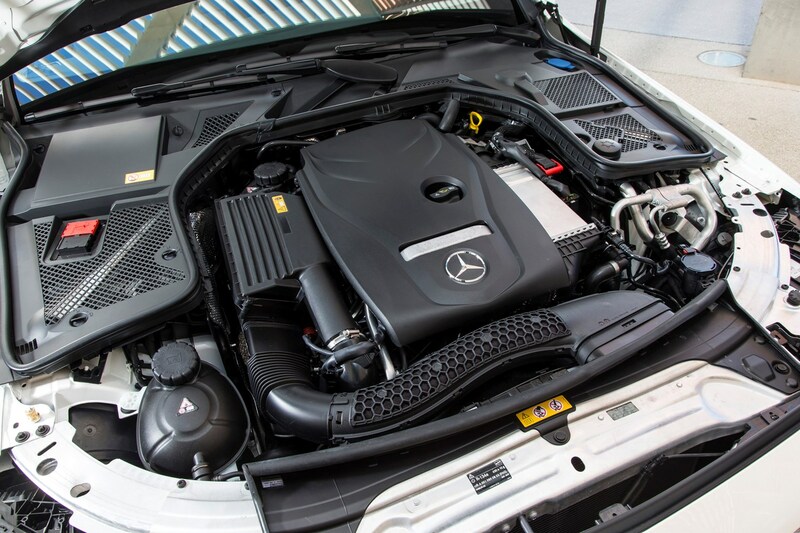 The bodyshell itself is constructed of far higher strength (yet lighter) metals than on the previous C-Class, which serves to mitigate the effects of any collision. 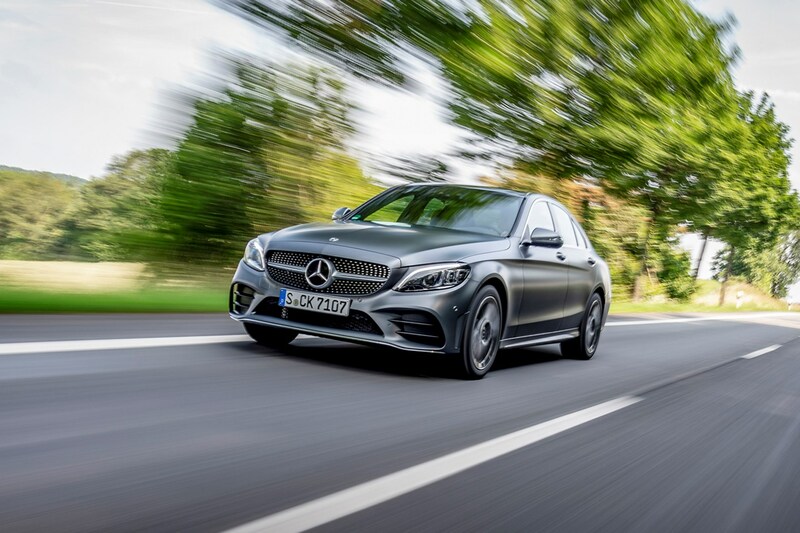 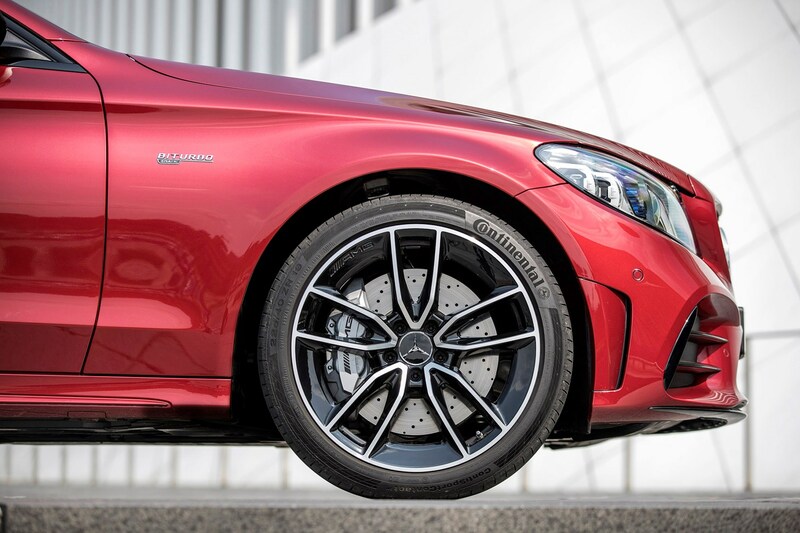 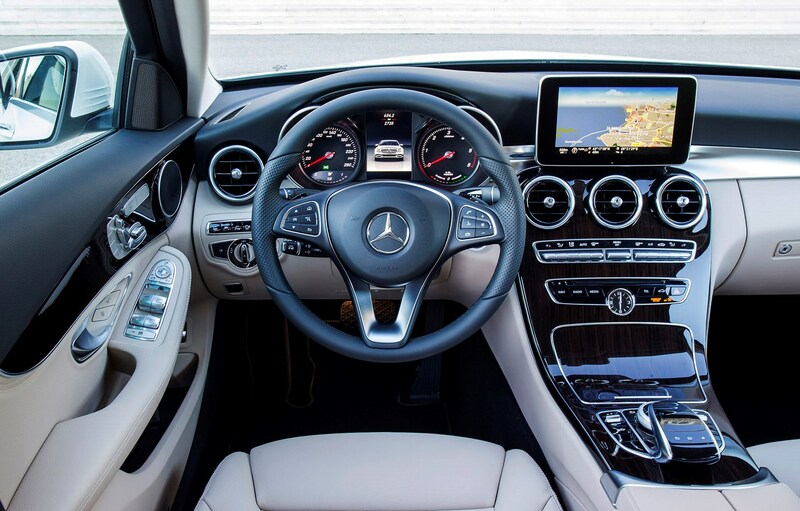 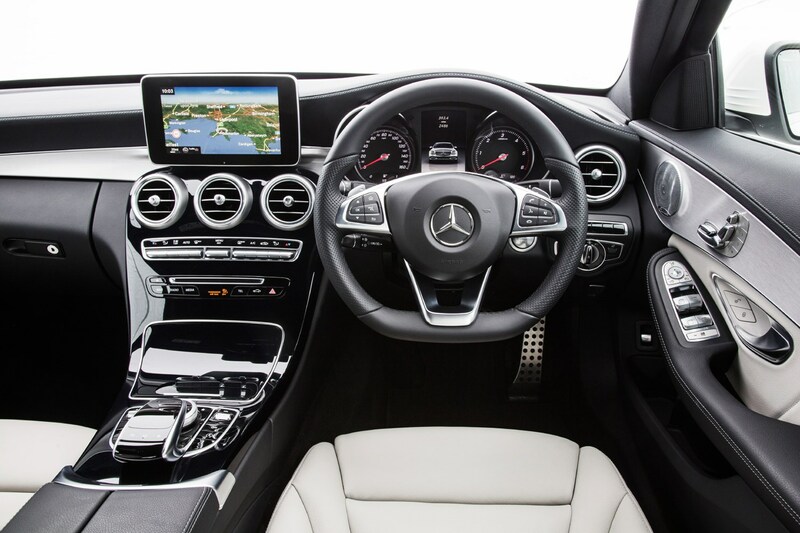 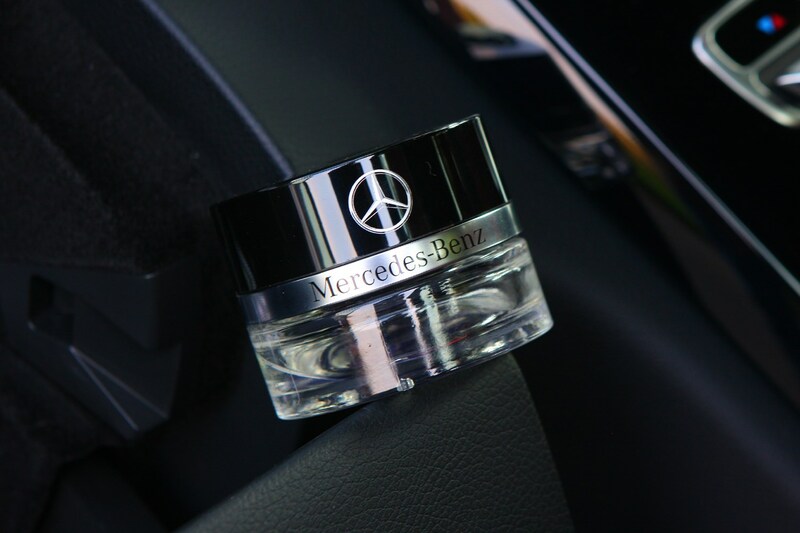 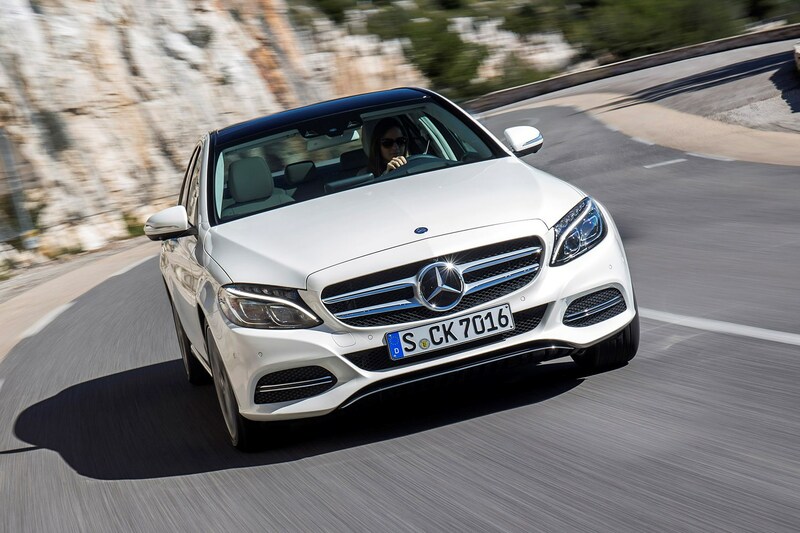 Optional safety kit as part of the Driving Assistance package really bolsters the C-Class’s safety kit list, as detailed in the Equipment section of this review. 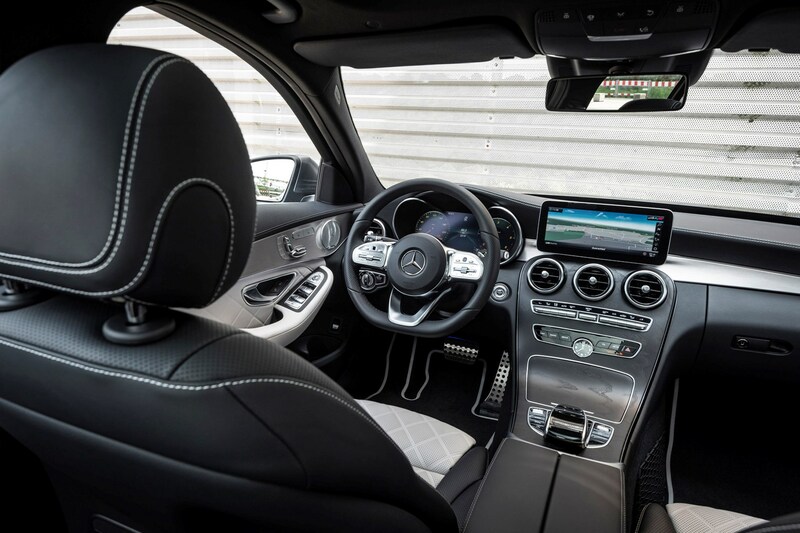 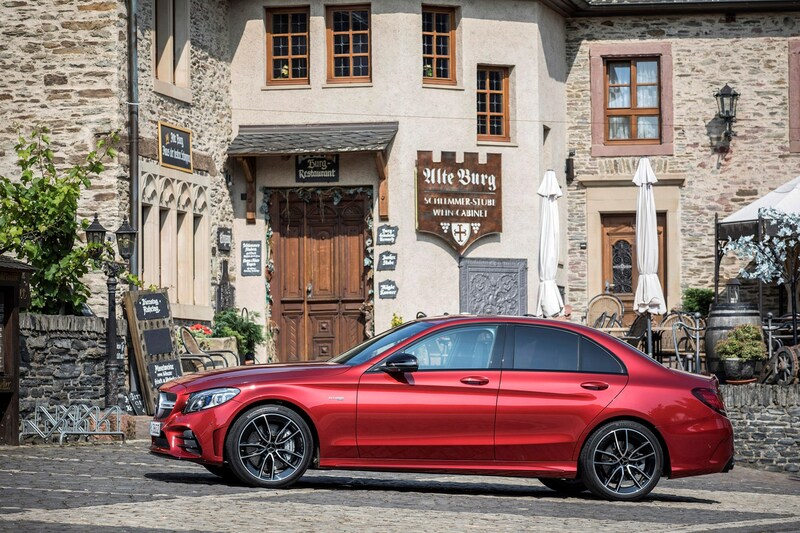 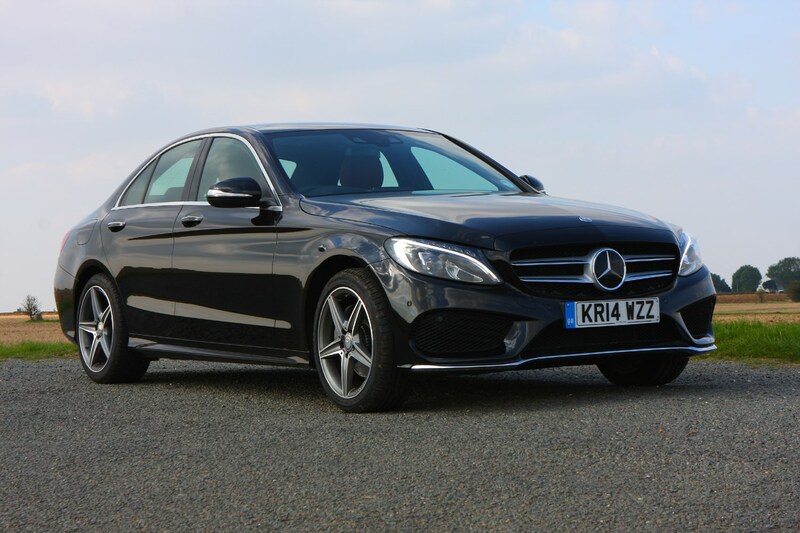 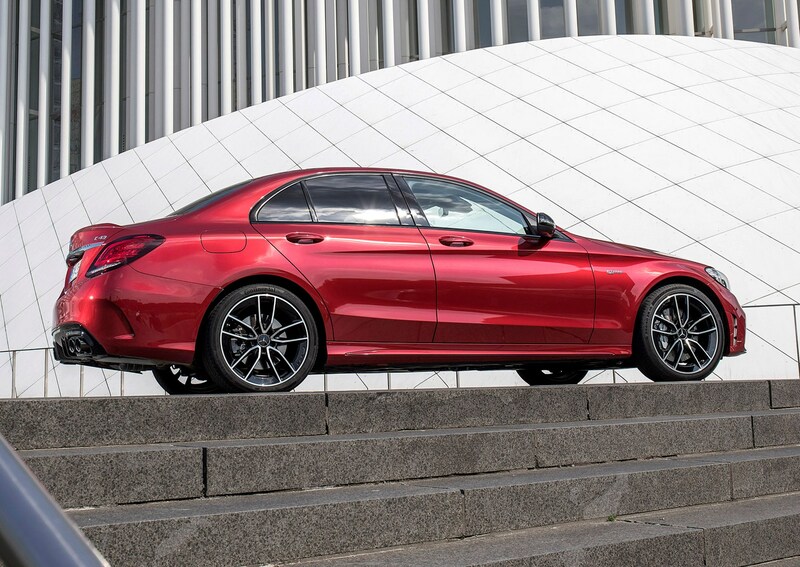 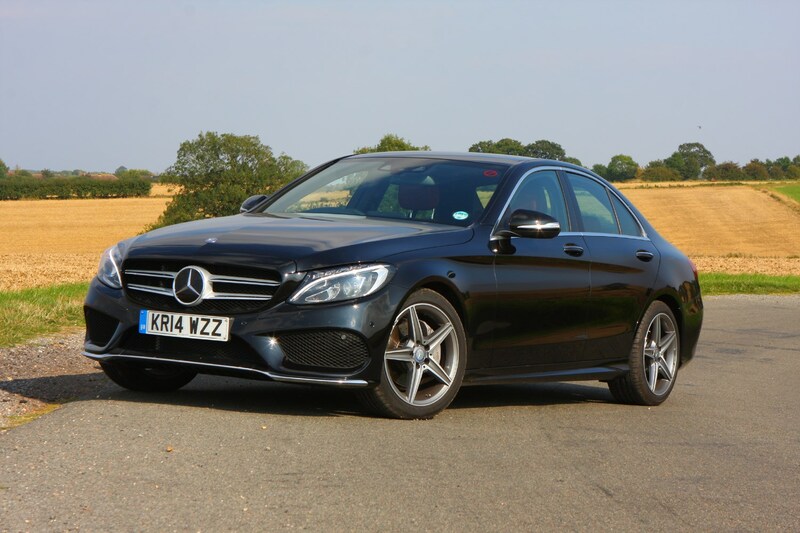 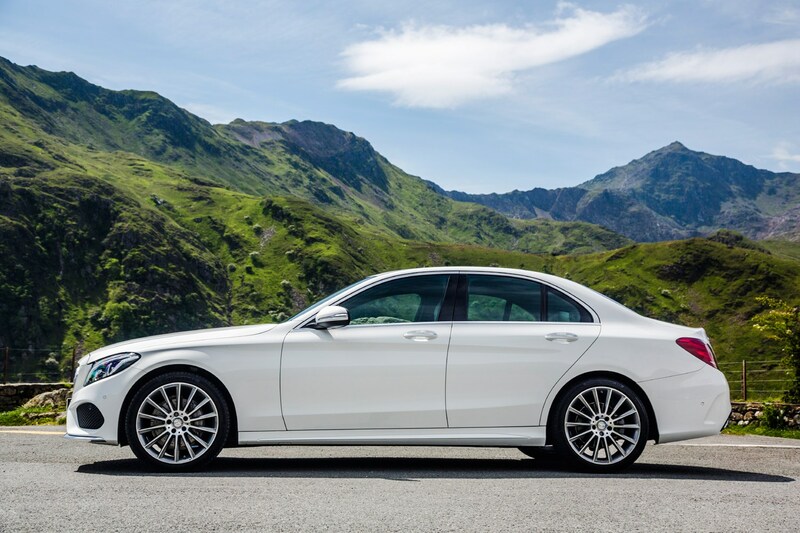 The C-Class is a surprisingly practical compact saloon, with enough space for four adults to comfortably sit for a long journey, as long as there aren’t two exceptionally tall people in the front seats. 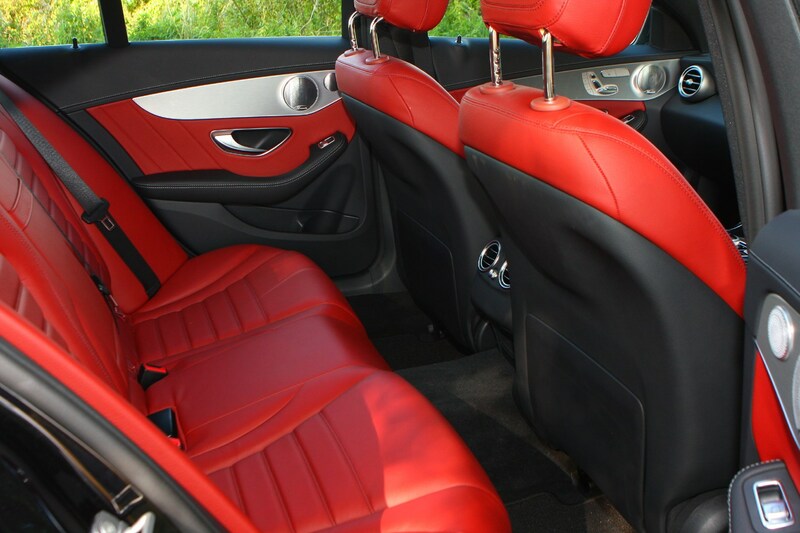 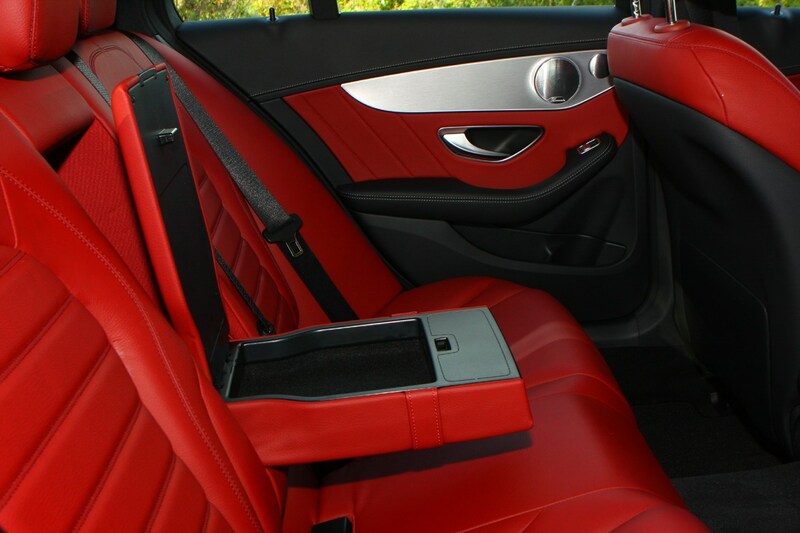 There’s a vast amount of adjustment in the front, and the way the rear seat backs are reclined means those in the back shouldn’t struggle too much. 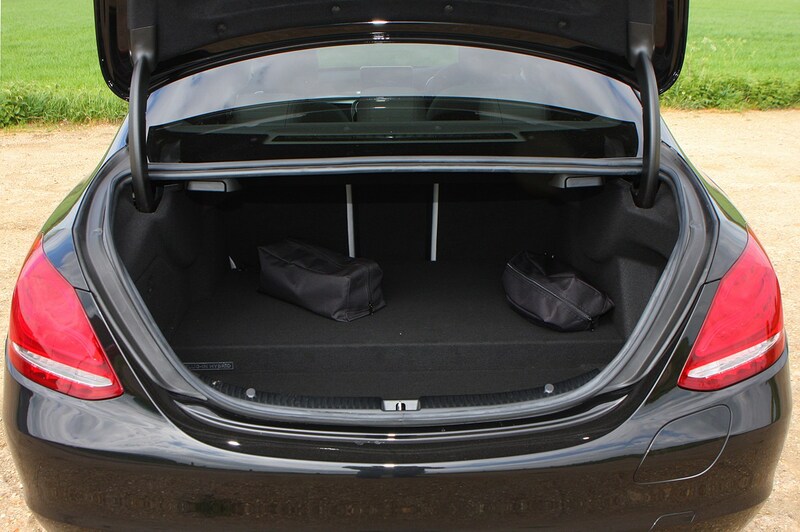 A fifth passenger won’t want to spend too much time in the middle rear seat, though, as the transmission tunnel seriously eats into foot room. 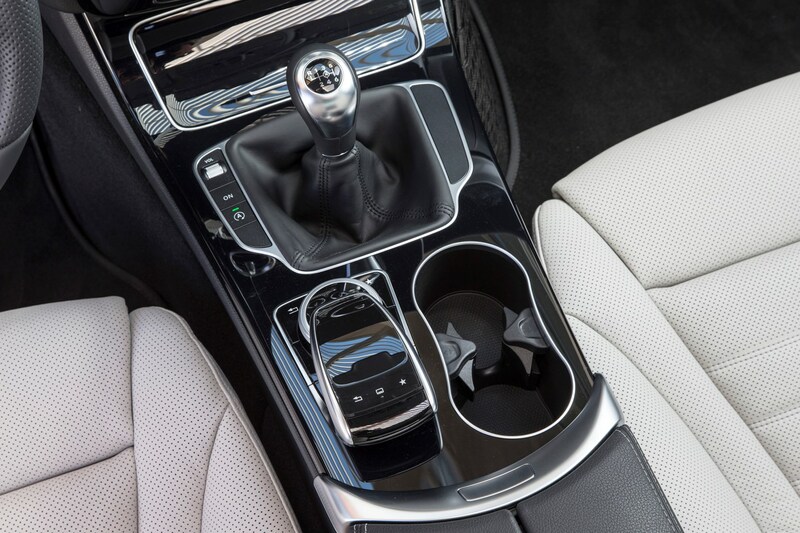 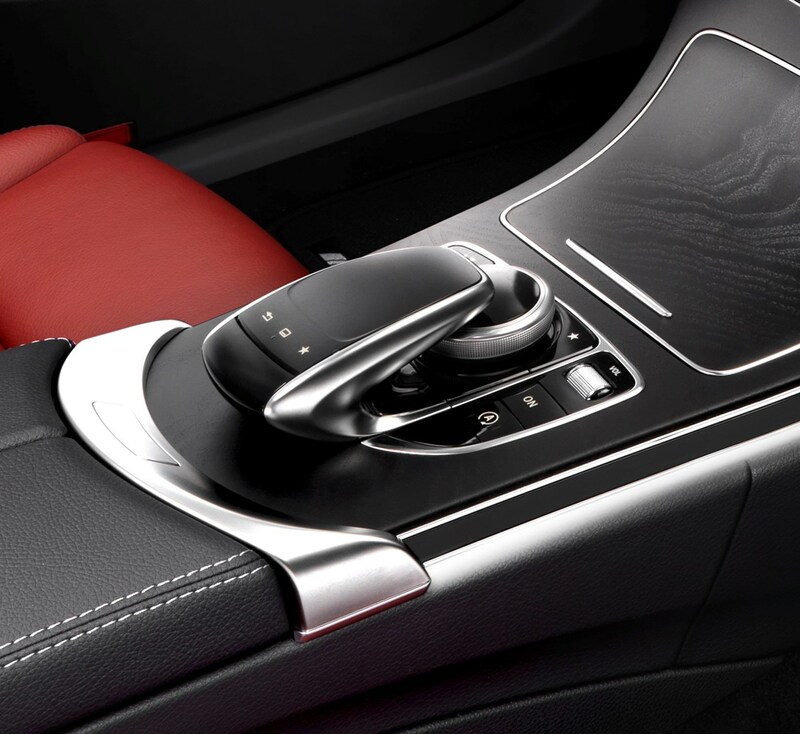 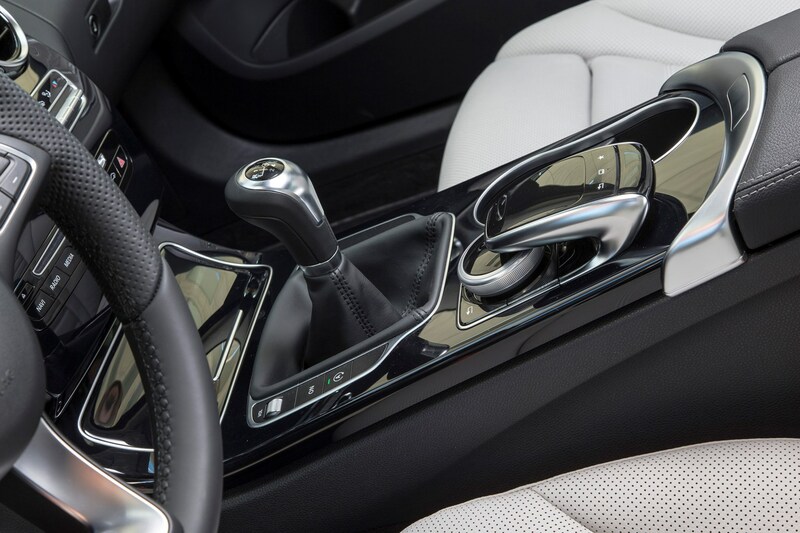 You get multiple storage options in the cabin including twin cupholders up front, large door bins and a large central storage area beneath the armrest. 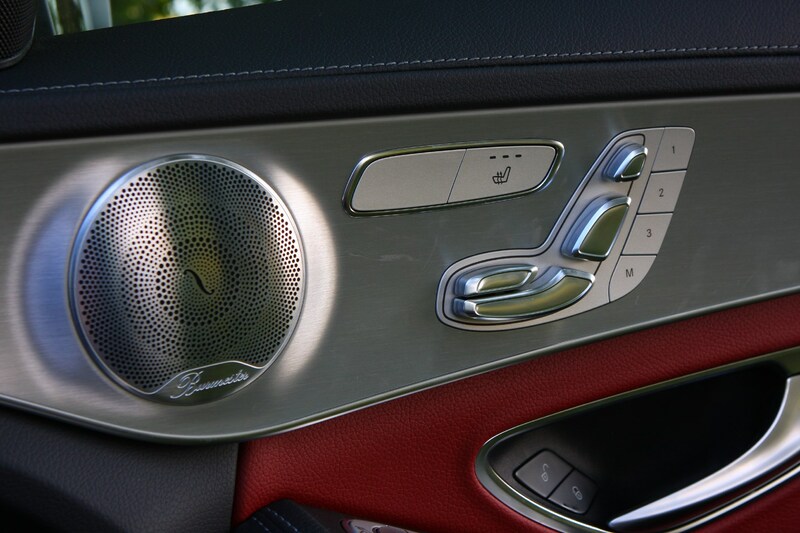 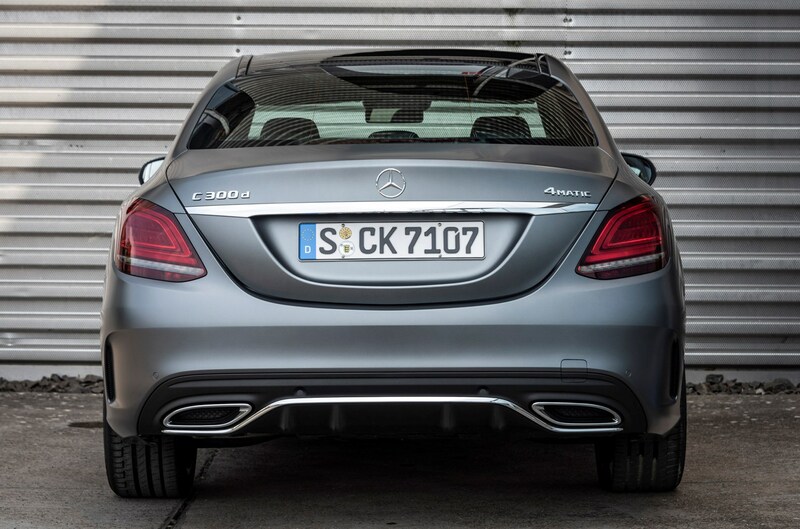 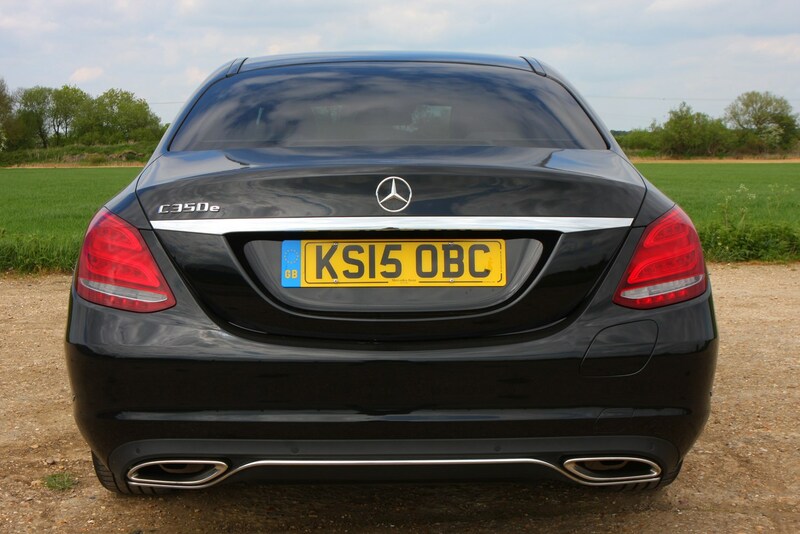 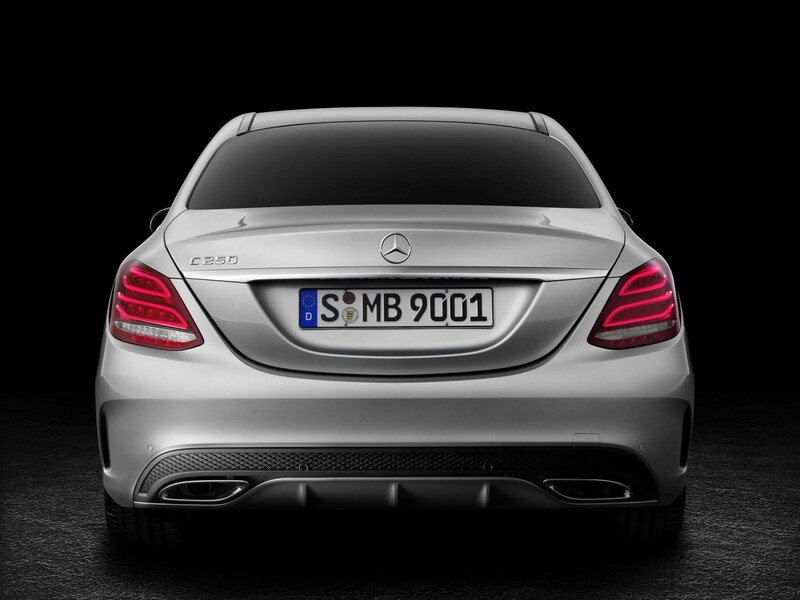 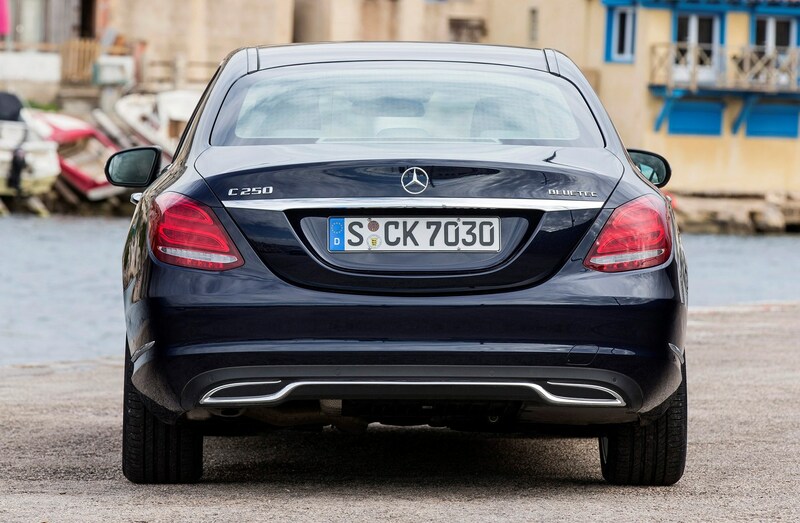 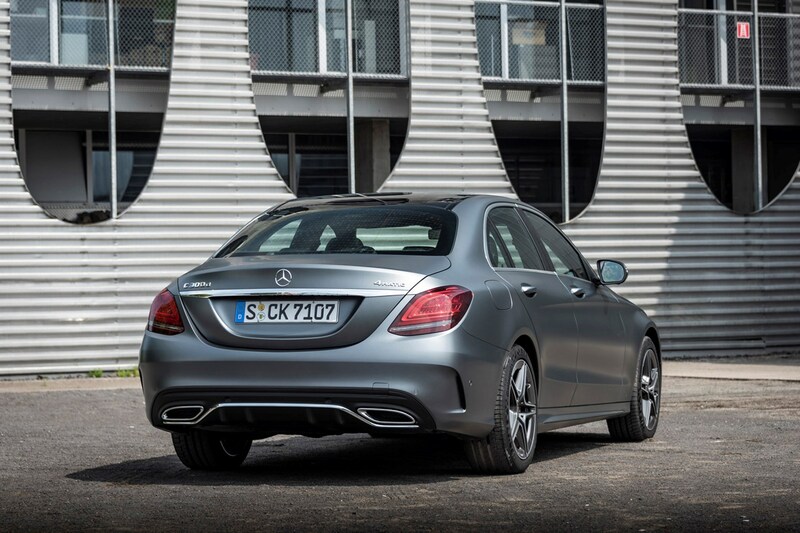 All C-Class Saloons come with a standard reversing camera too, which will make parking a lot easier. 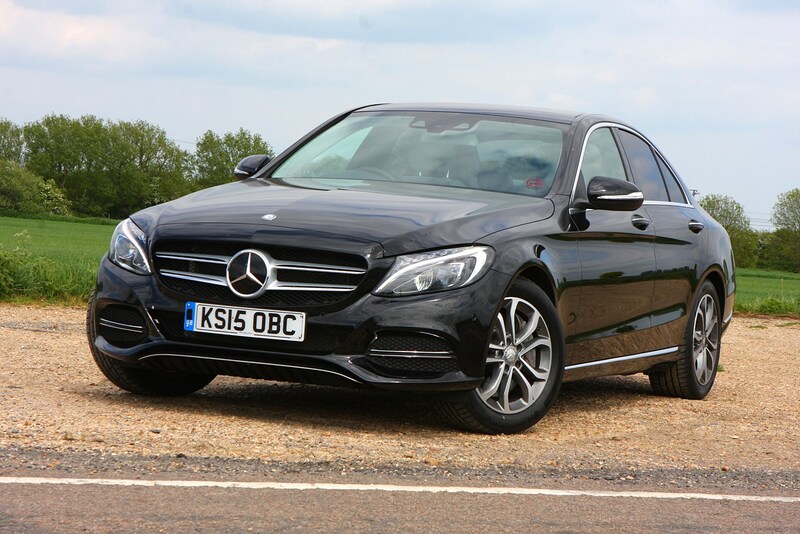 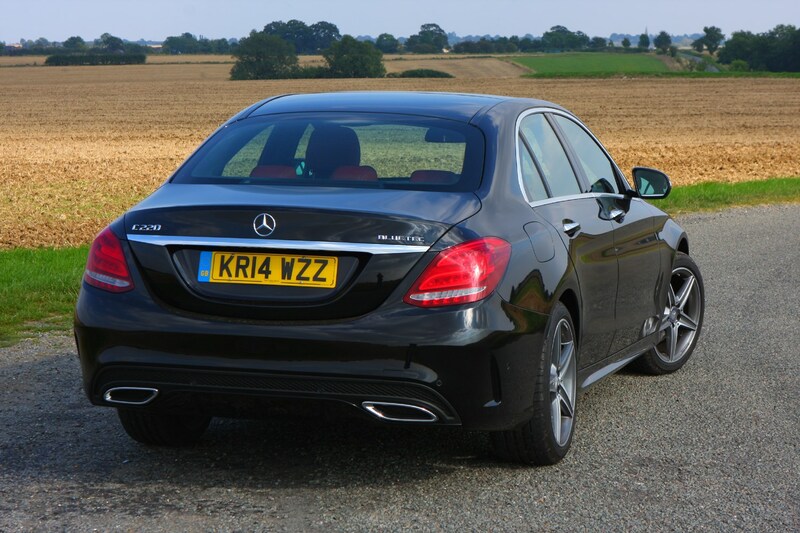 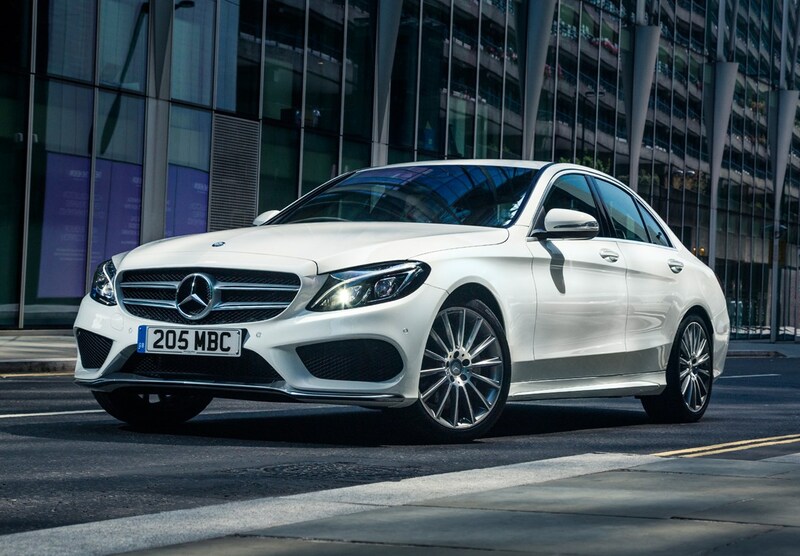 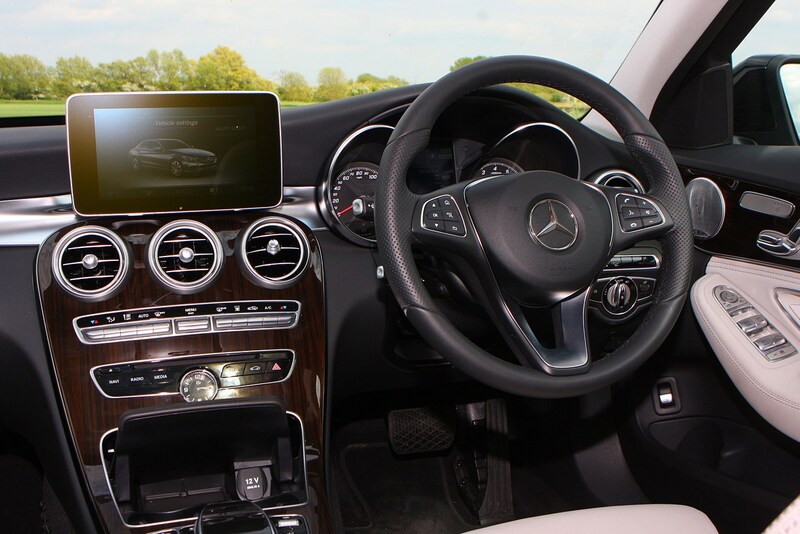 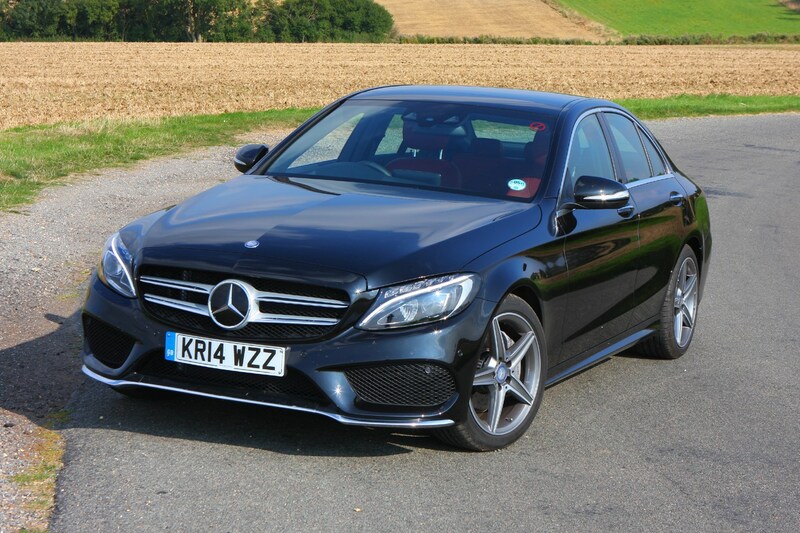 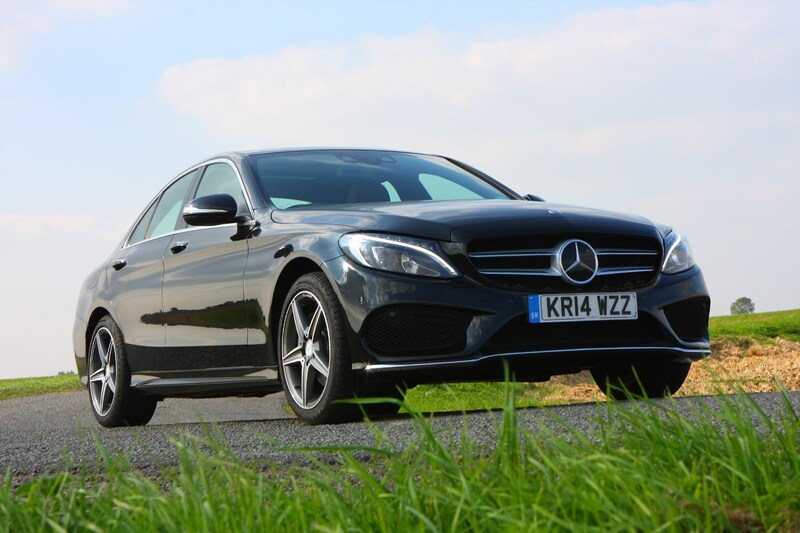 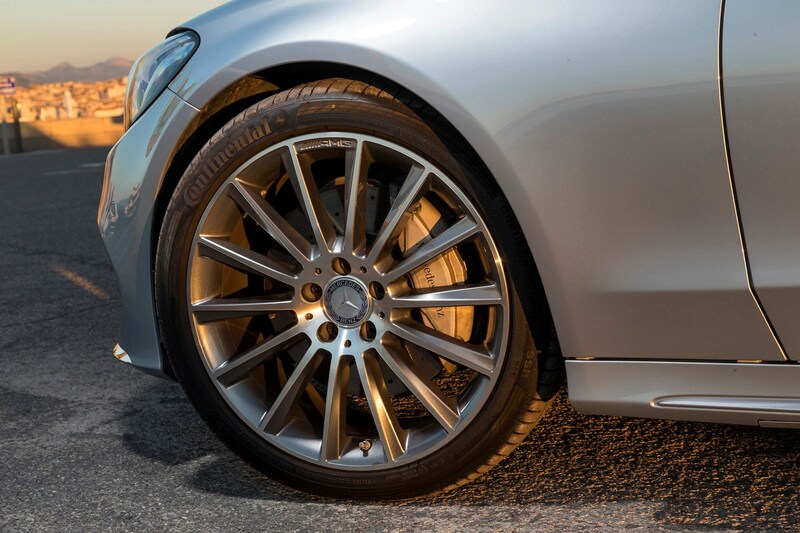 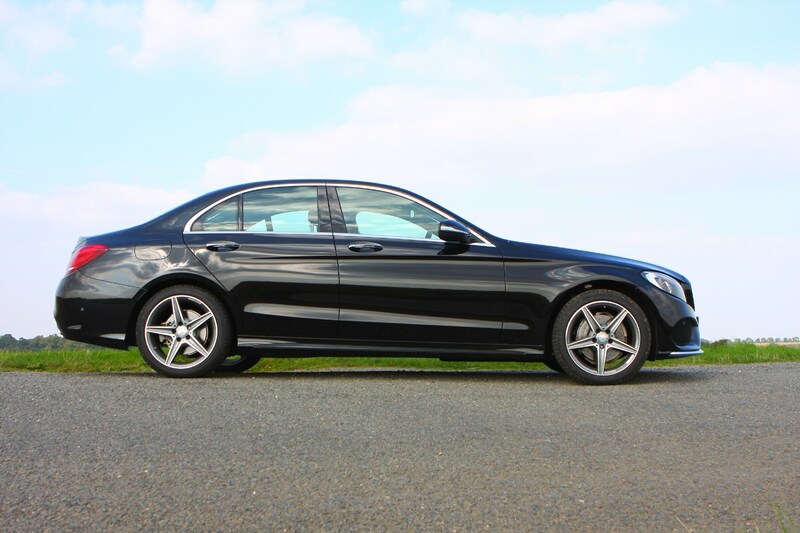 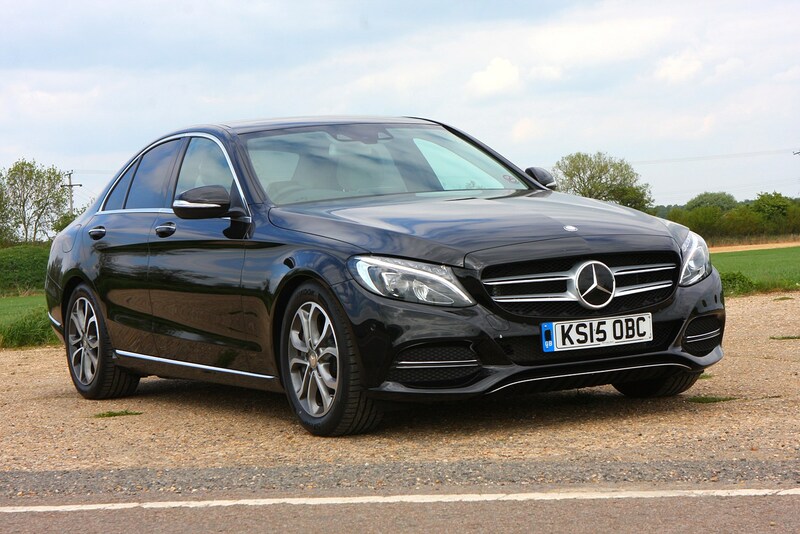 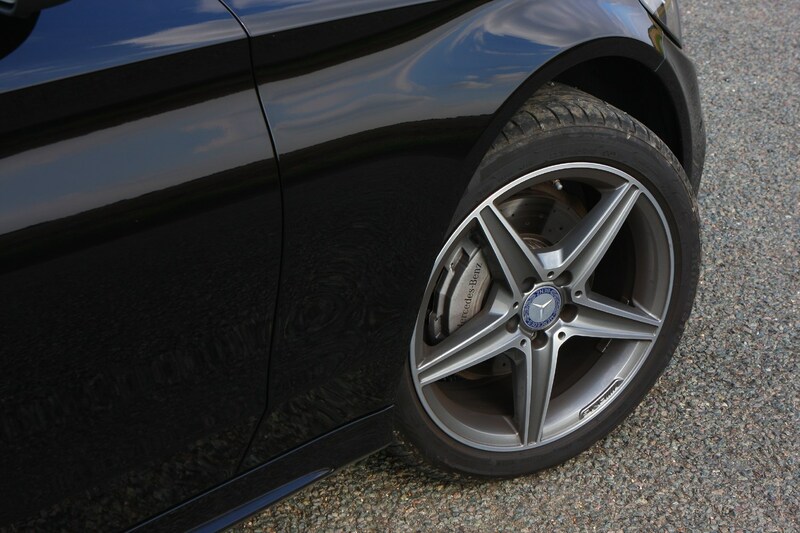 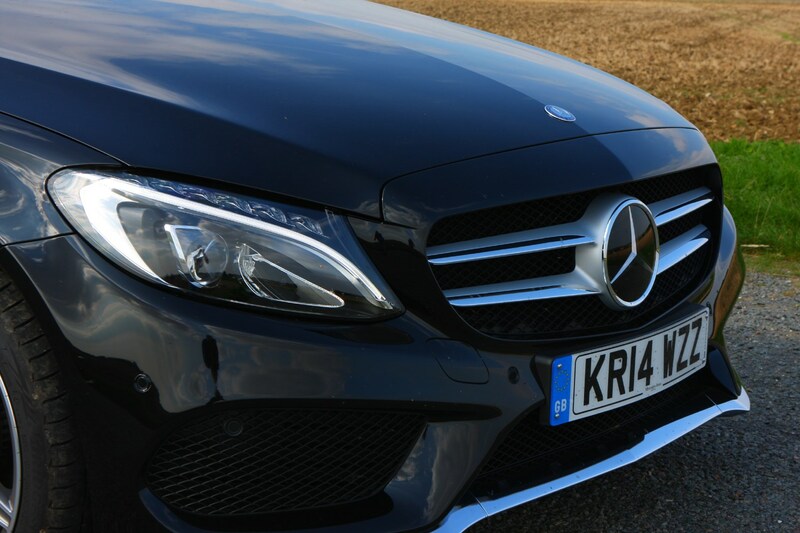 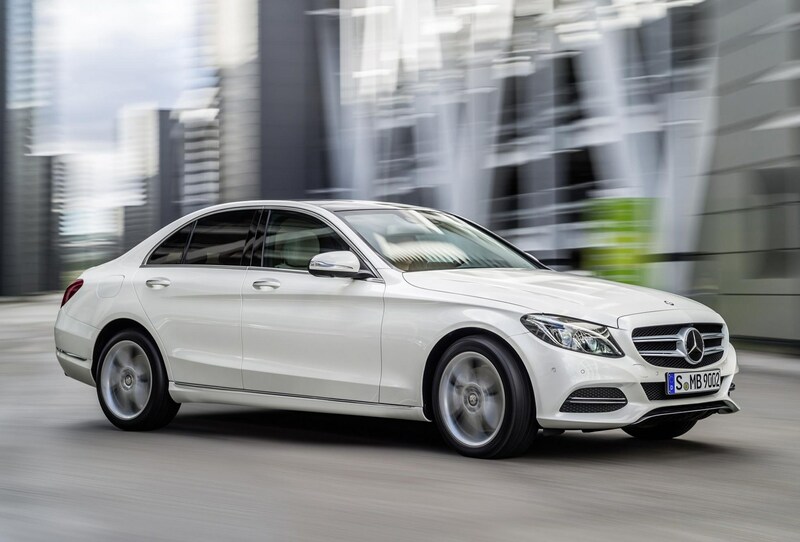 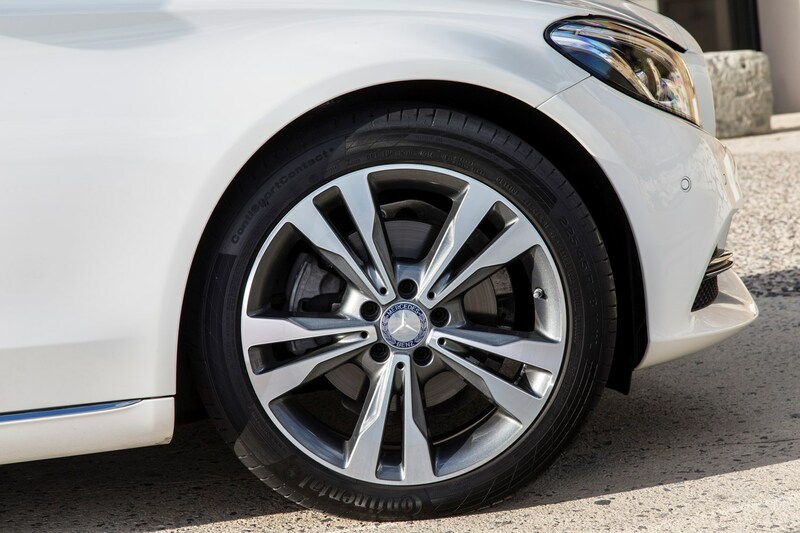 The C-Class isn’t a large car, and is very easy to manoeuvre in tight car parks or about town, with quick steering at low speeds to aid this. 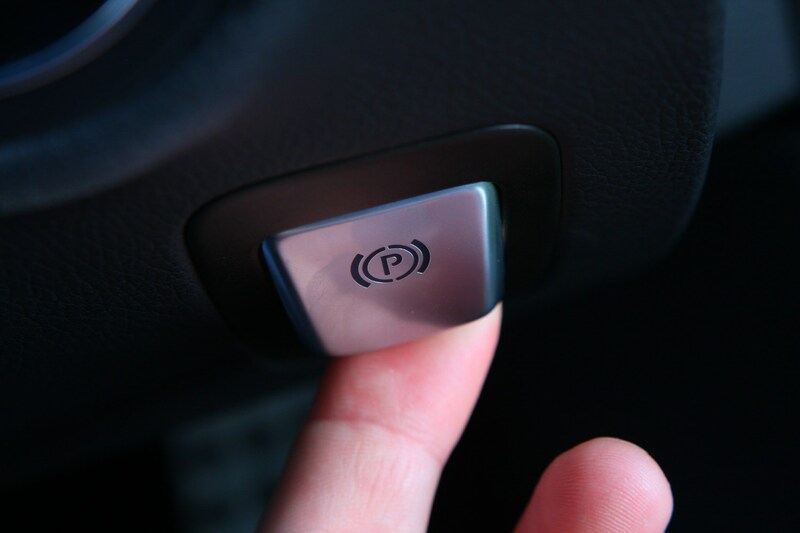 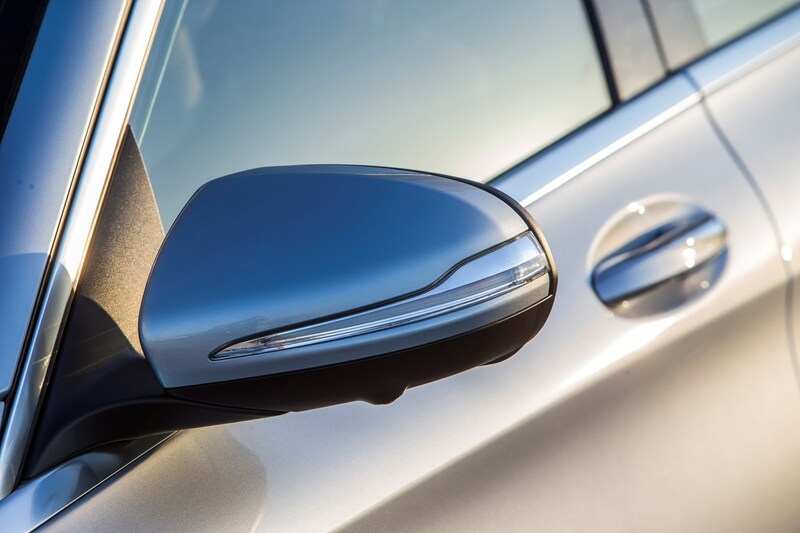 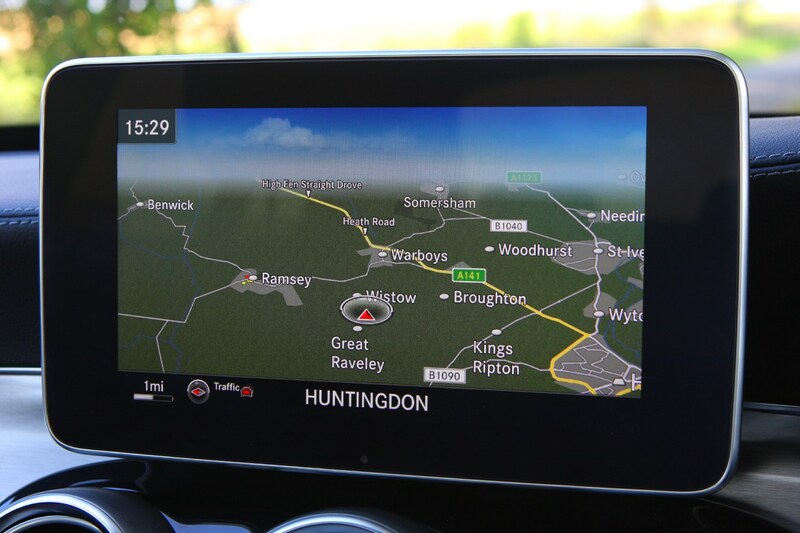 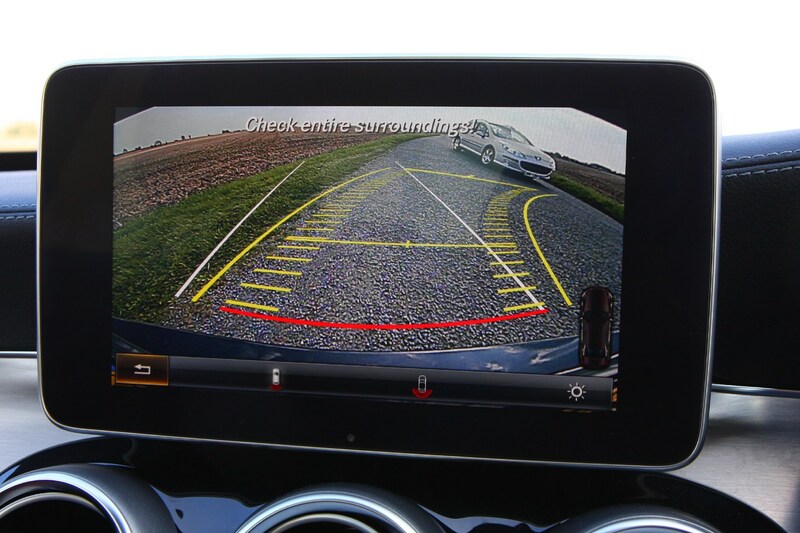 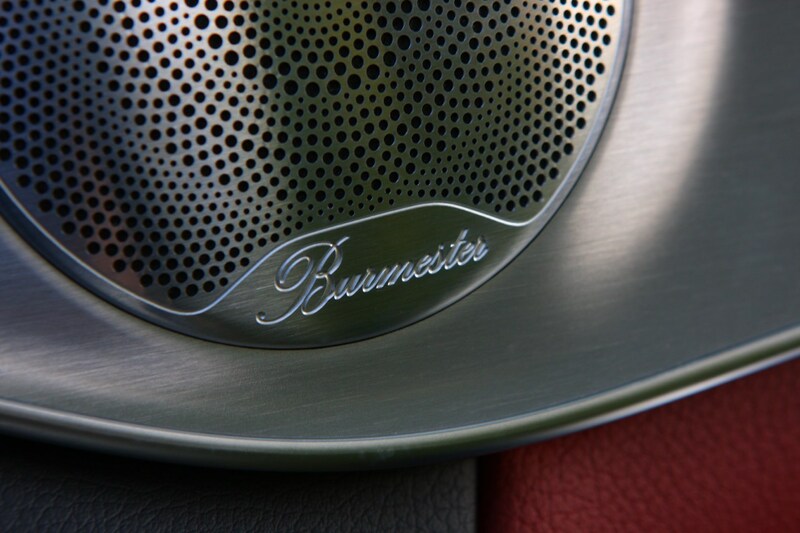 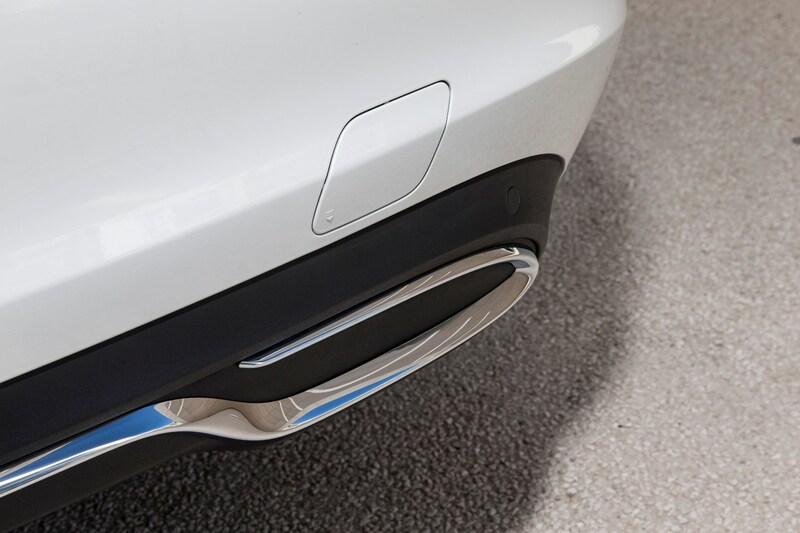 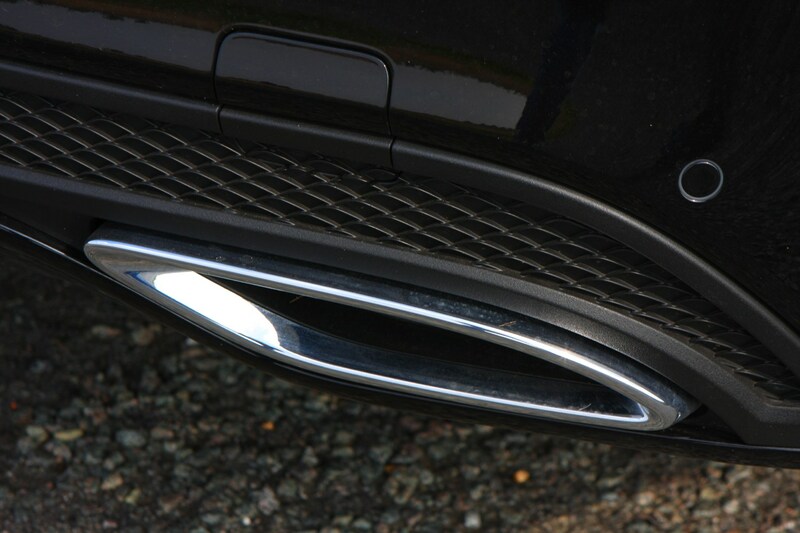 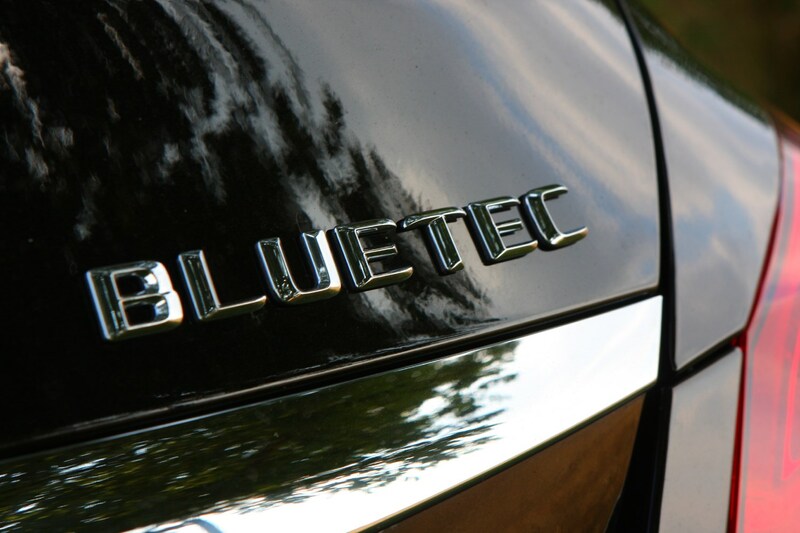 With standard-fit parking sensors and the option of all-round cameras, it’s very easy to see all around the car, too. 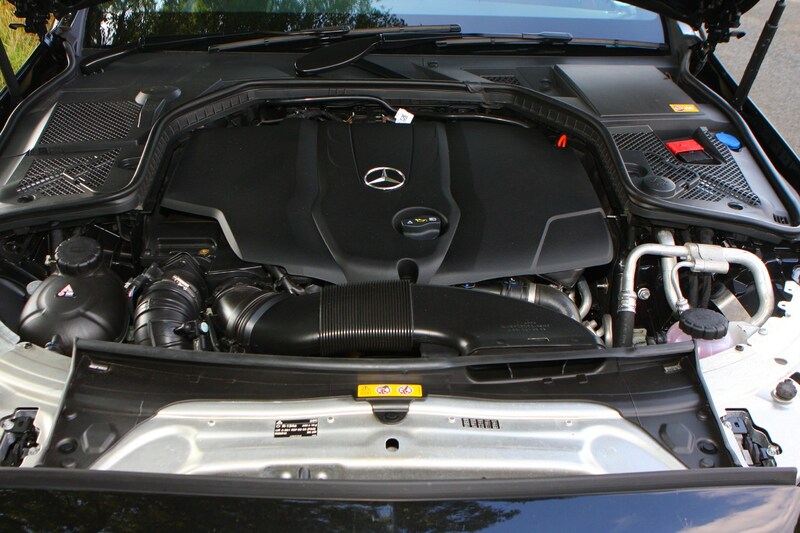 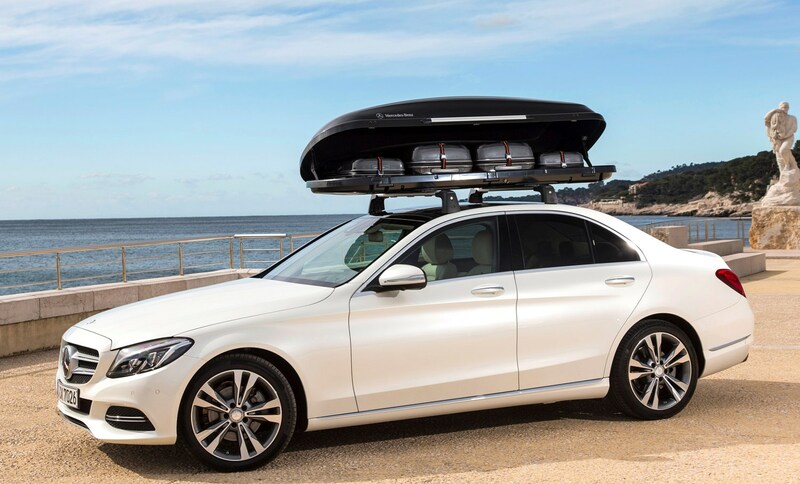 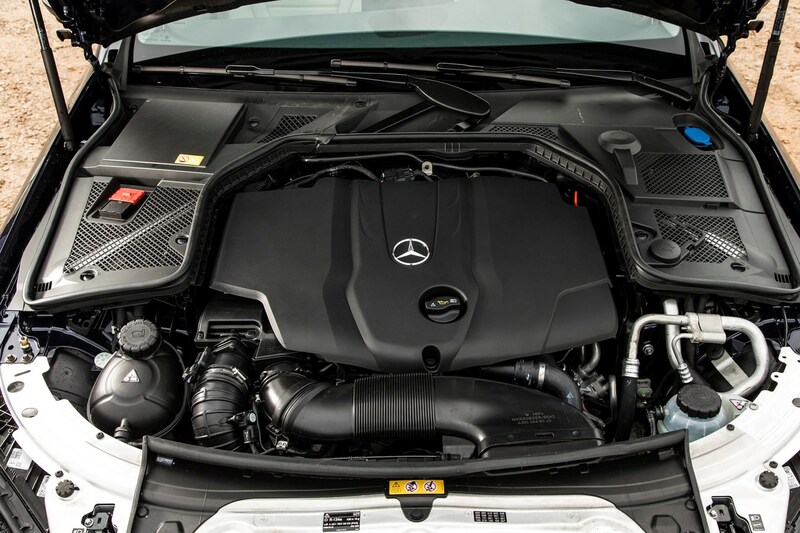 At 460 litres the C-Class’s boot is a little smaller than those in the Audi A4 and BMW 3 Series (480 litres for both), but with equally limited access due to the saloon body style. 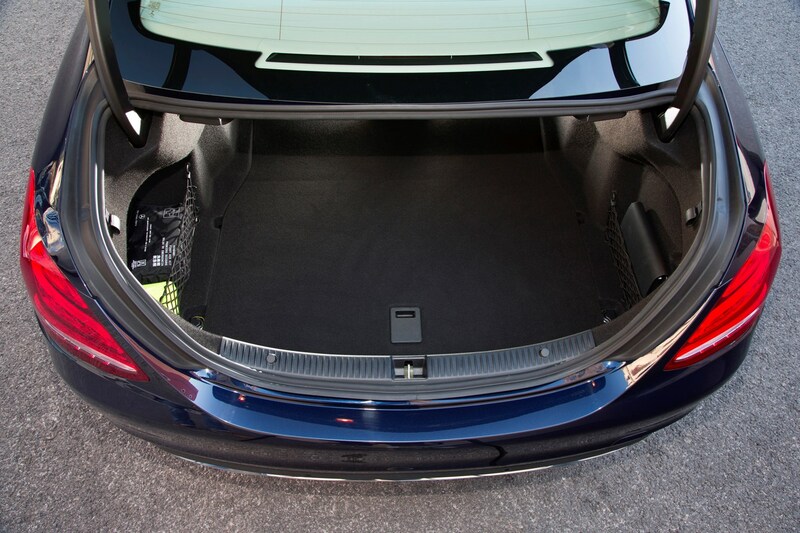 It’s wide enough to get most items in, but any trips to the dump will need something a bit more practical. 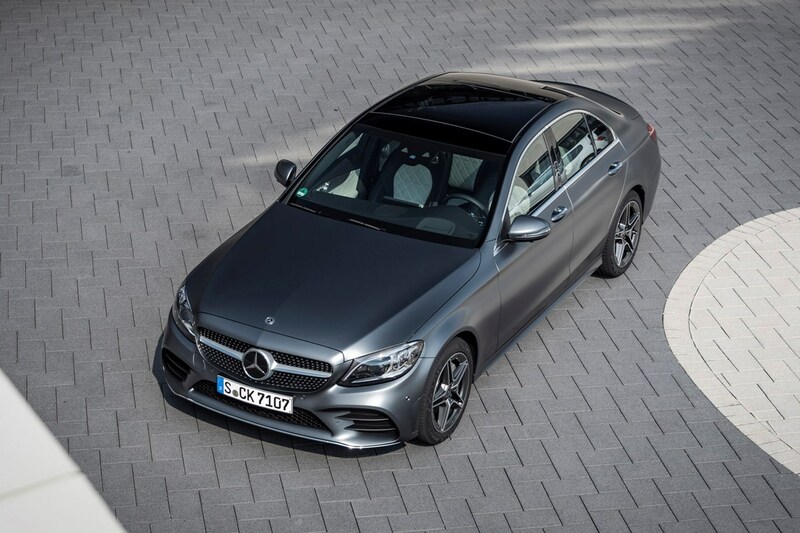 Oddly, the Mercedes-AMG C 43 has a slightly larger boot at 490 litres, and will expand to 1,510 litres with the rear seats folded. 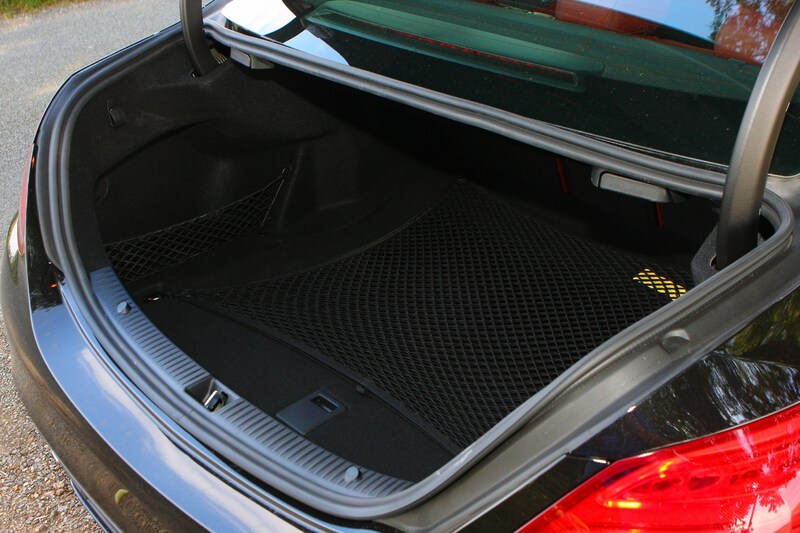 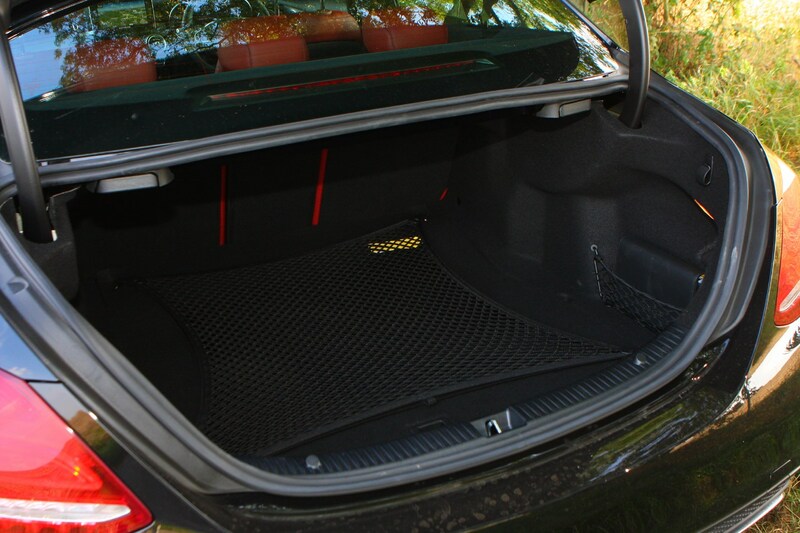 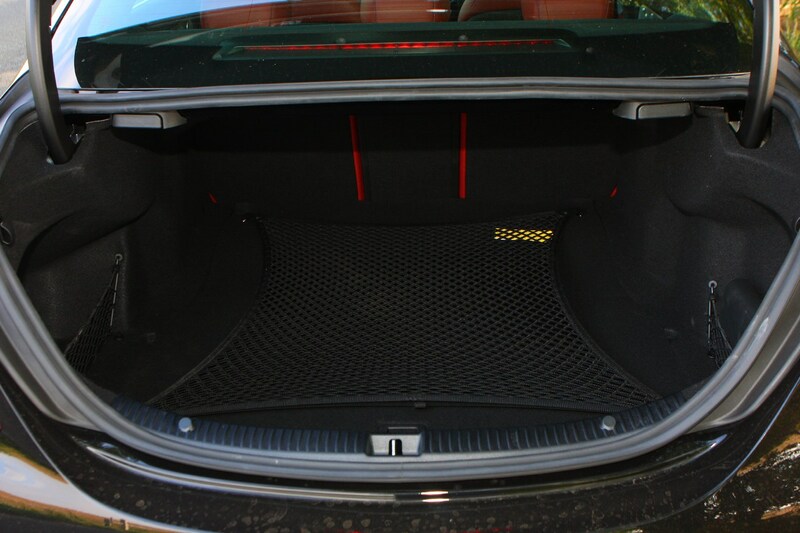 For other models, maximum boot space measures 1,480 litres with the rear seats down. 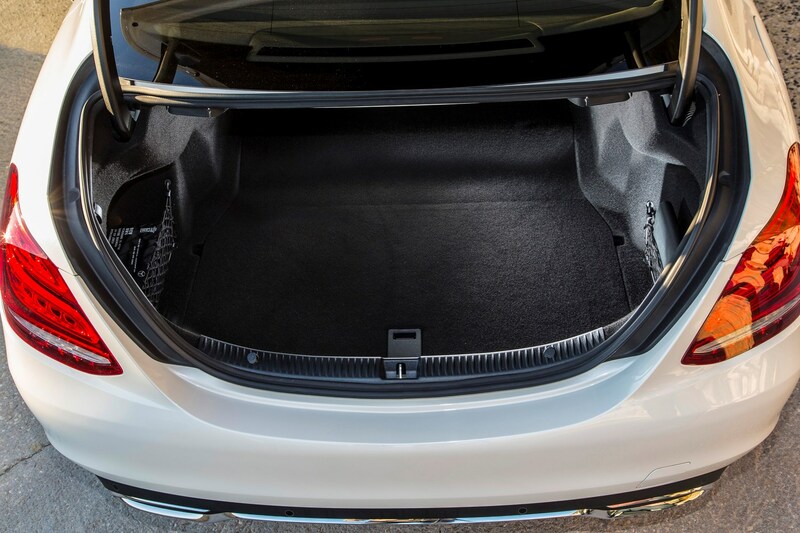 An electric tailgate is available (but you don’t really need it), and the rear seats split and fold easily if you need to load any longer items in, too. 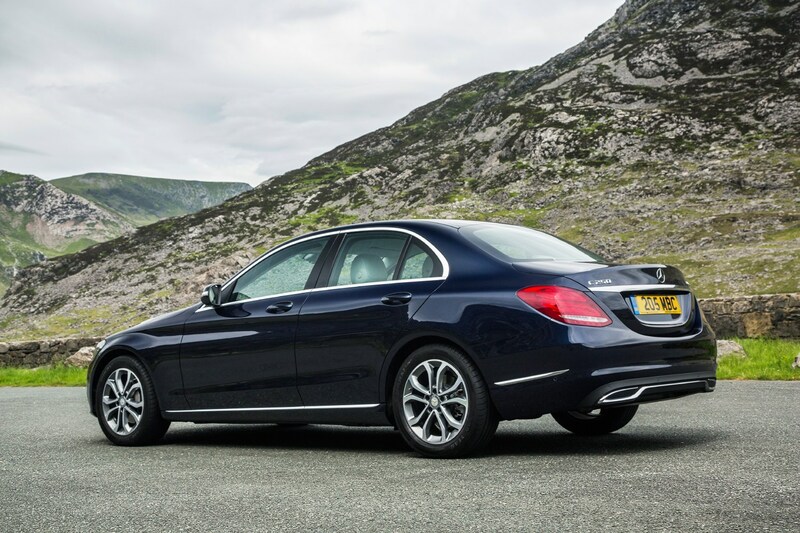 Check the table below to see how the Mercedes-Benz C-Class Saloon compares to other similar cars in terms of available boot space.